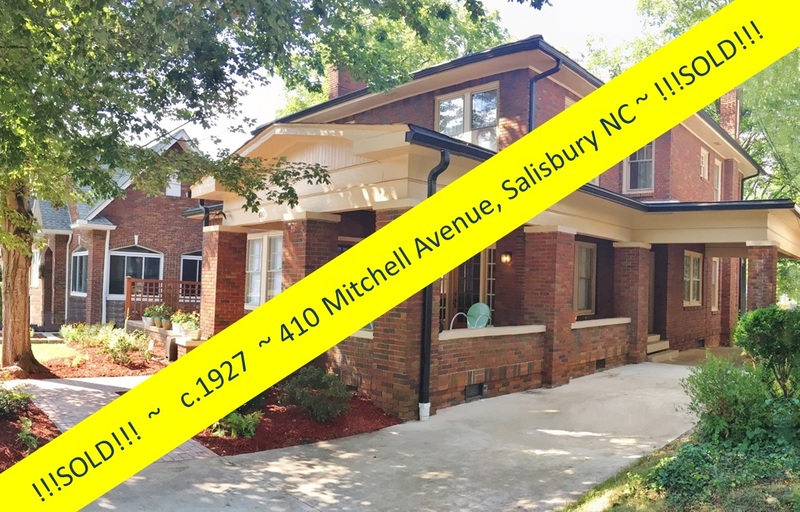 Founded in 1753, Salisbury North Carolina enjoys a rich heritage of historic architecture dating from the eighteenth, nineteenth, and twentieth centuries. 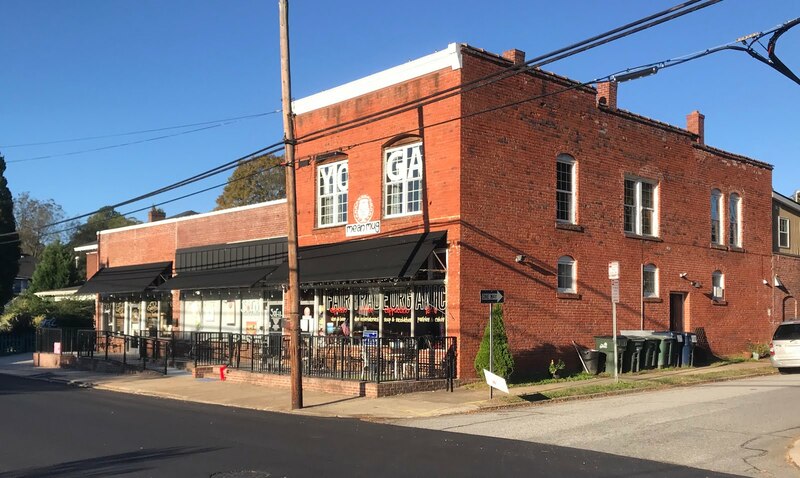 The wealth of historic domestic, commercial, and institutional buildings from a variety of stylistic periods contribute to the distinctive character of the City's downtown and adjacent historic neighborhoods. 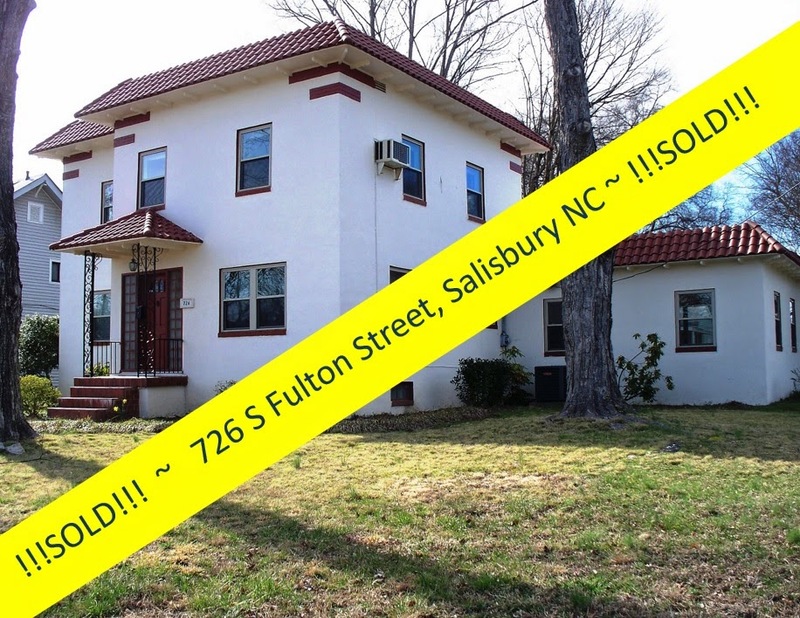 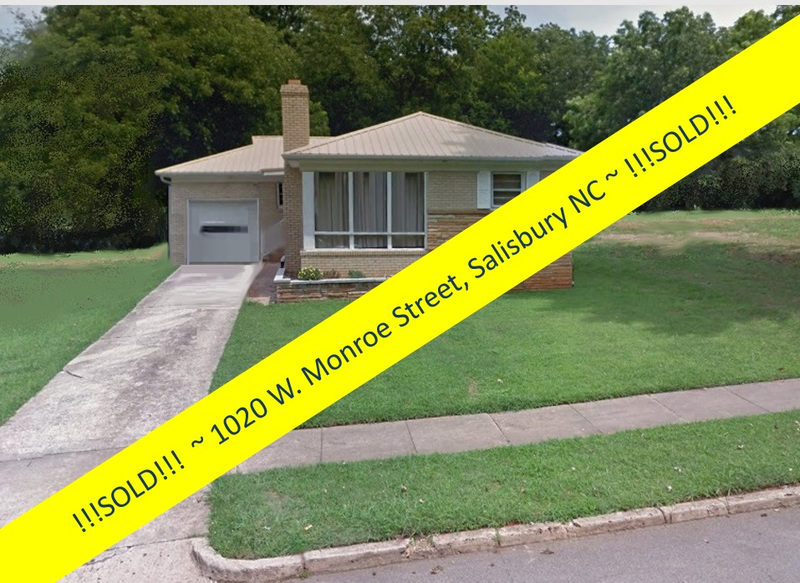 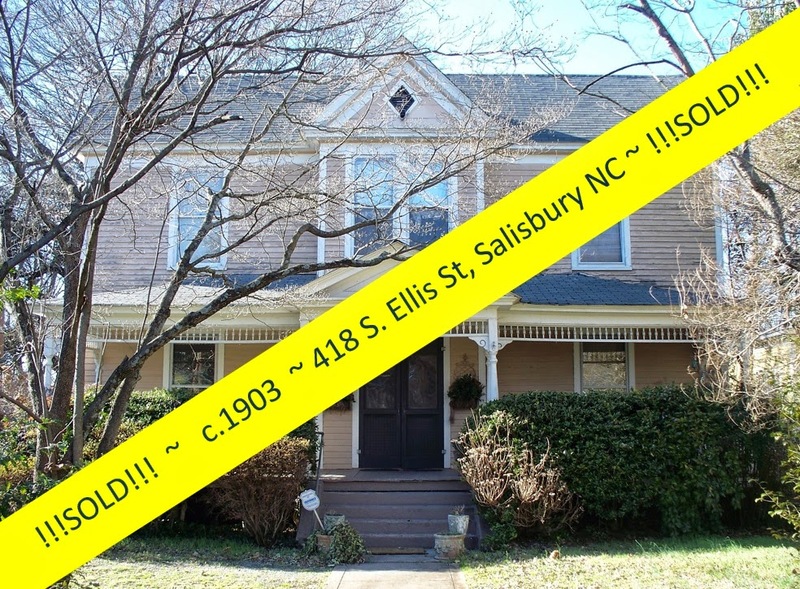 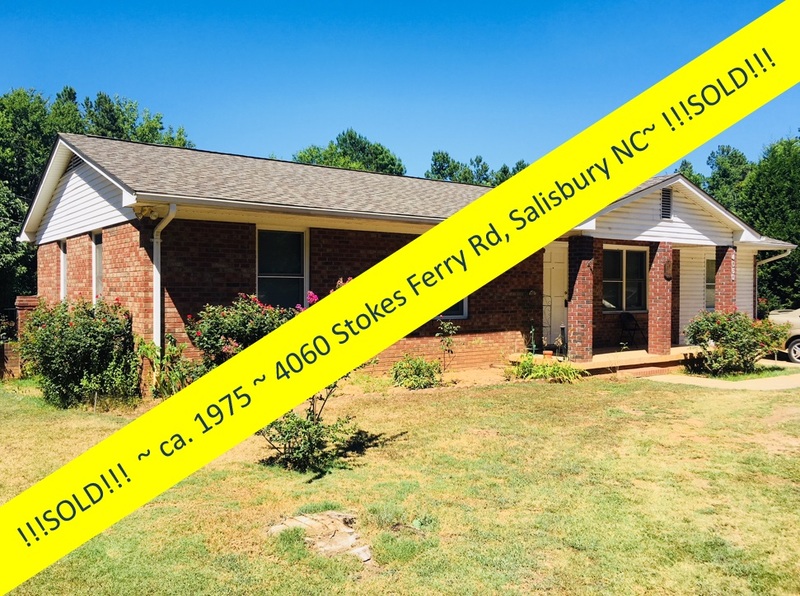 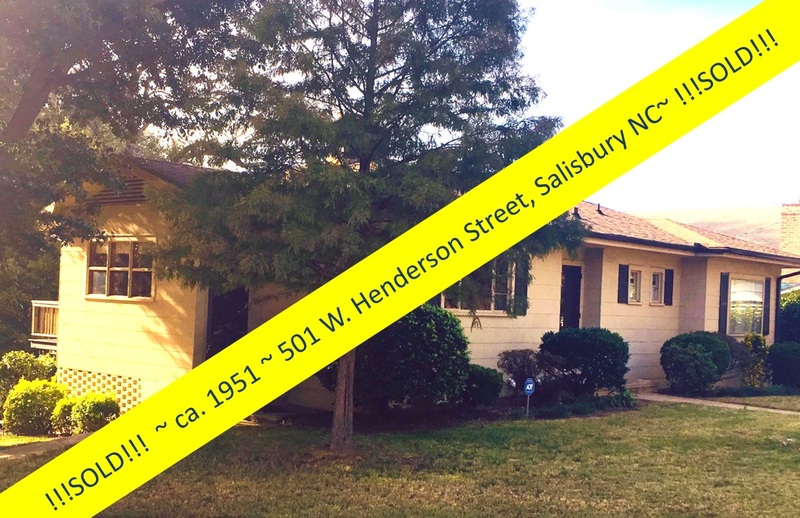 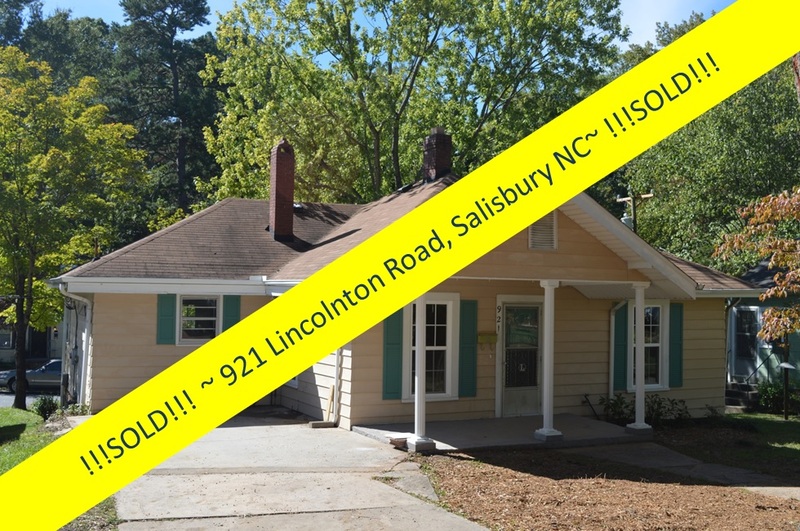 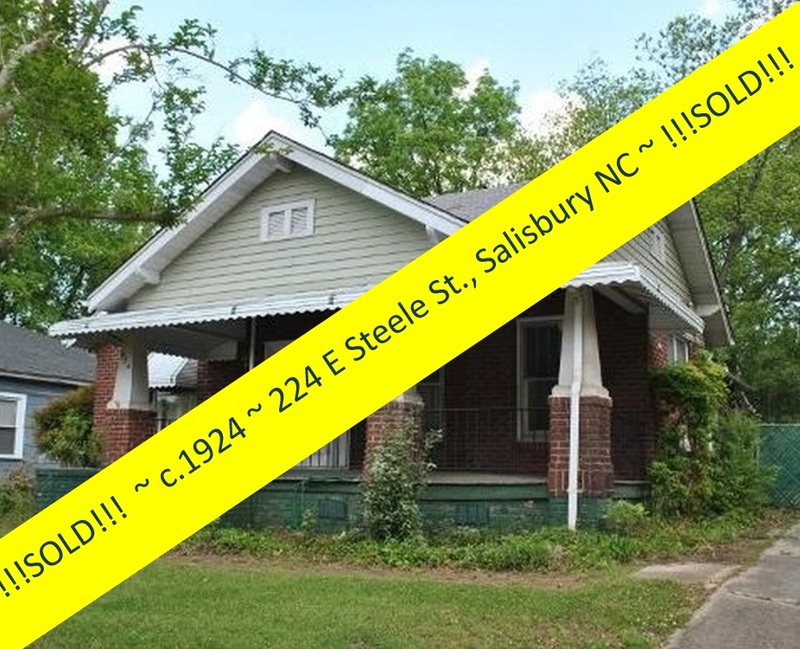 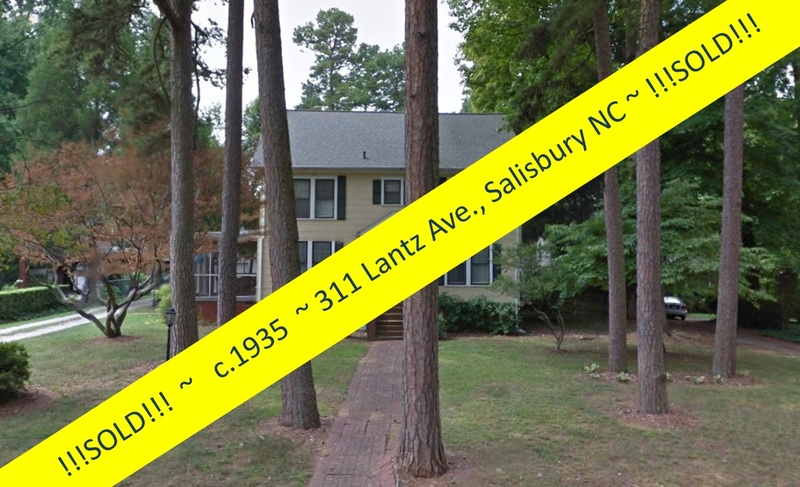 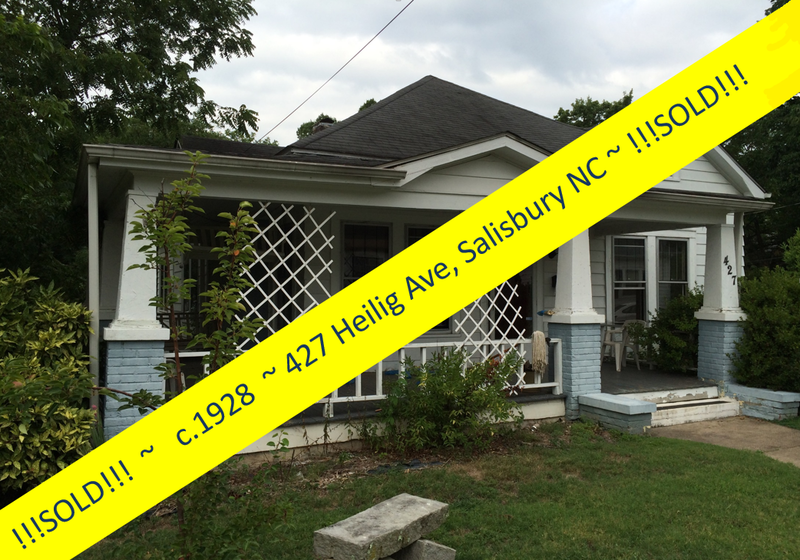 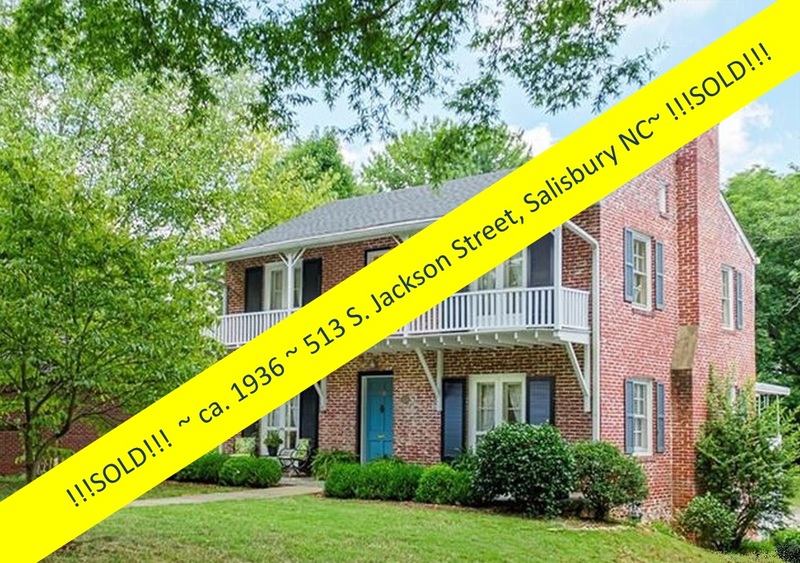 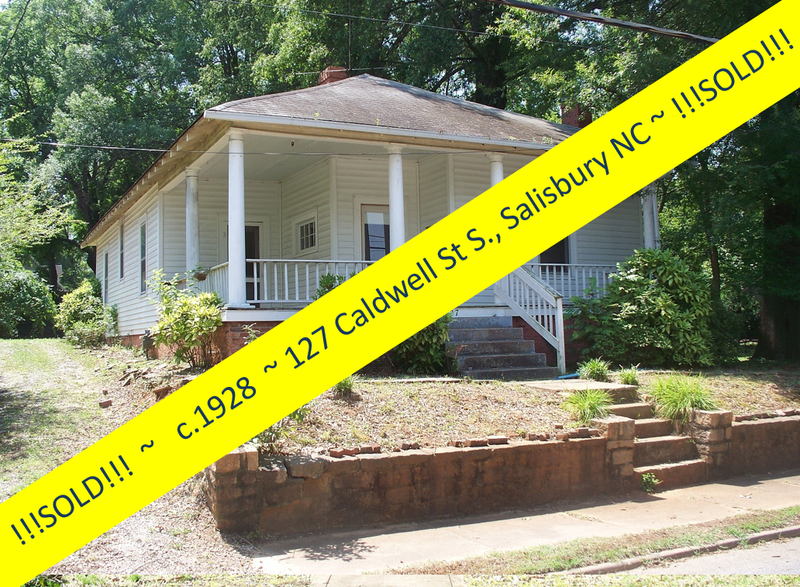 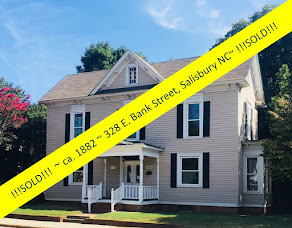 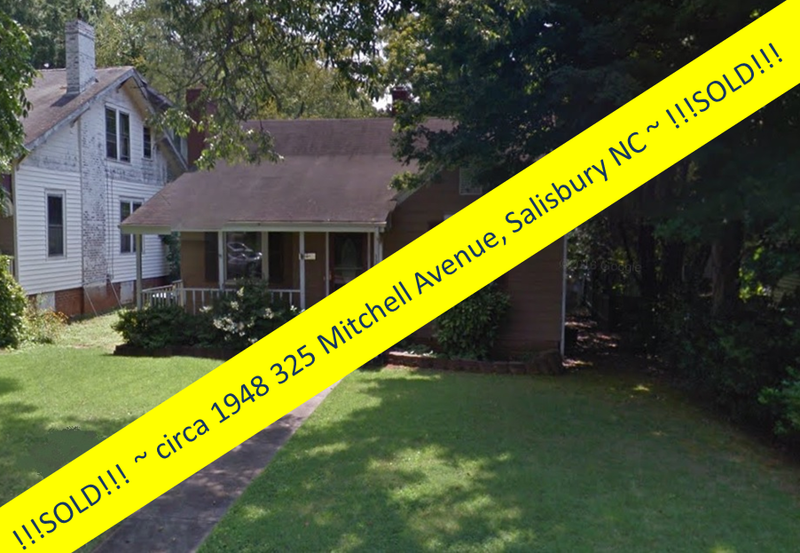 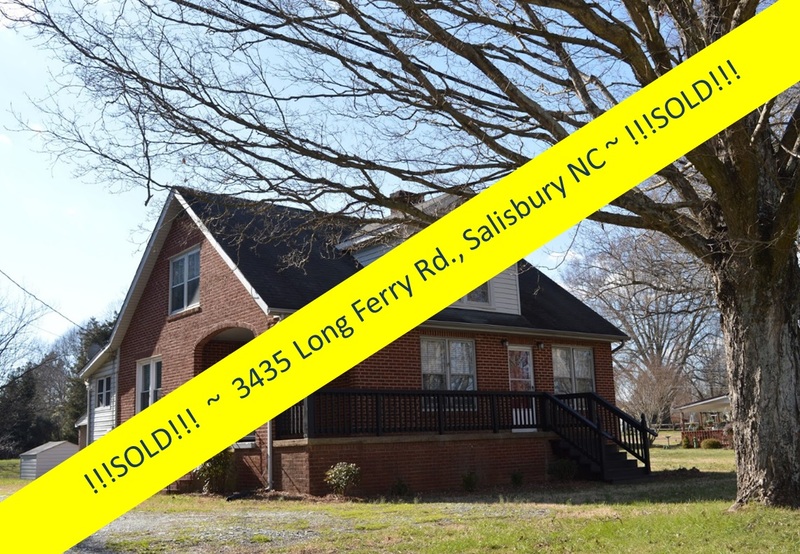 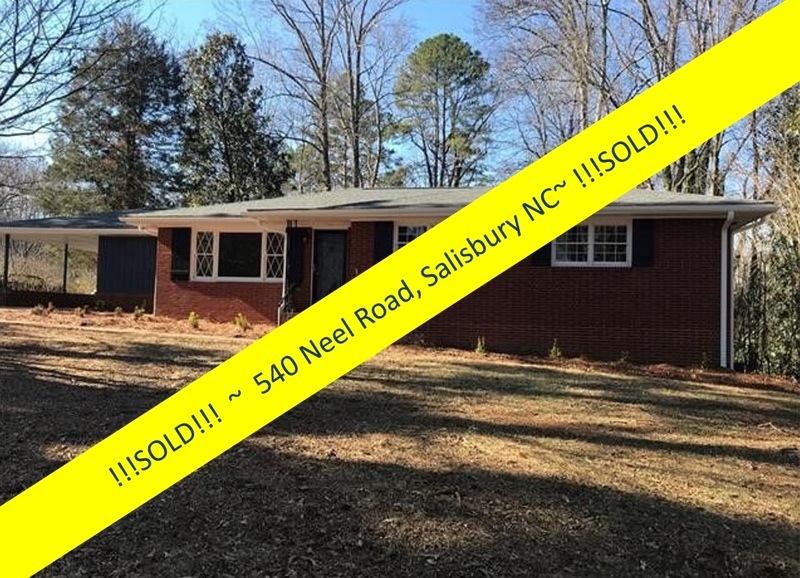 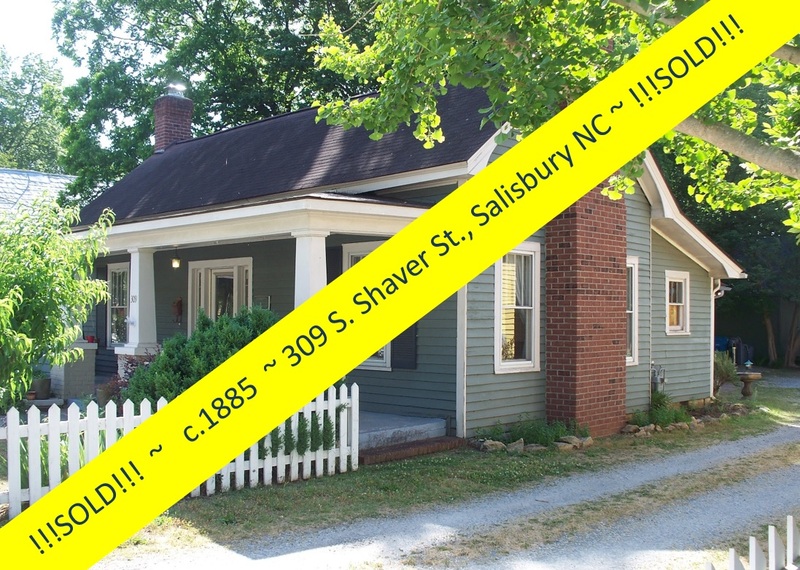 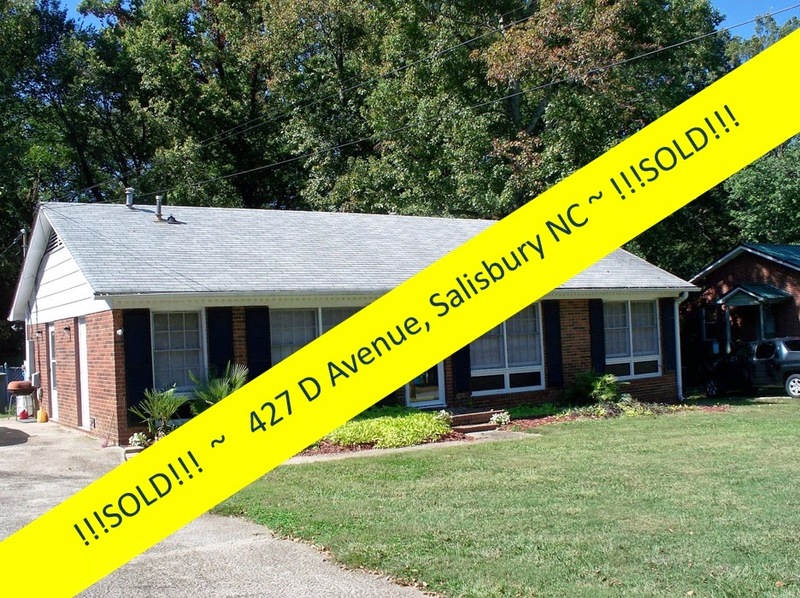 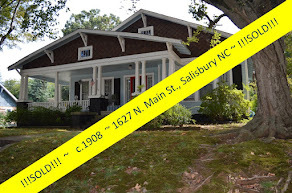 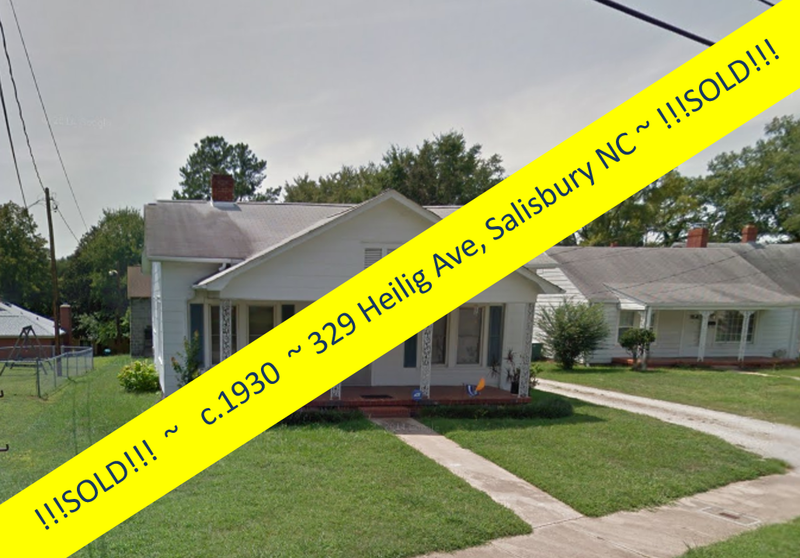 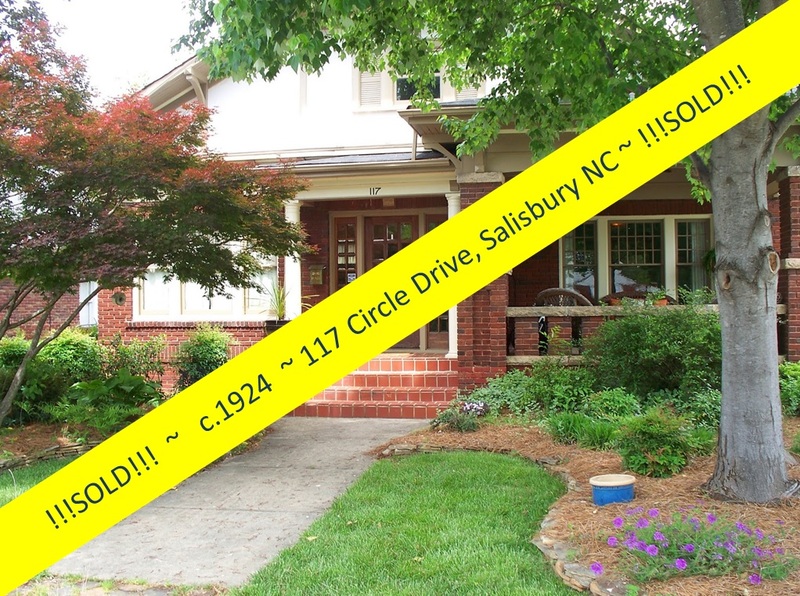 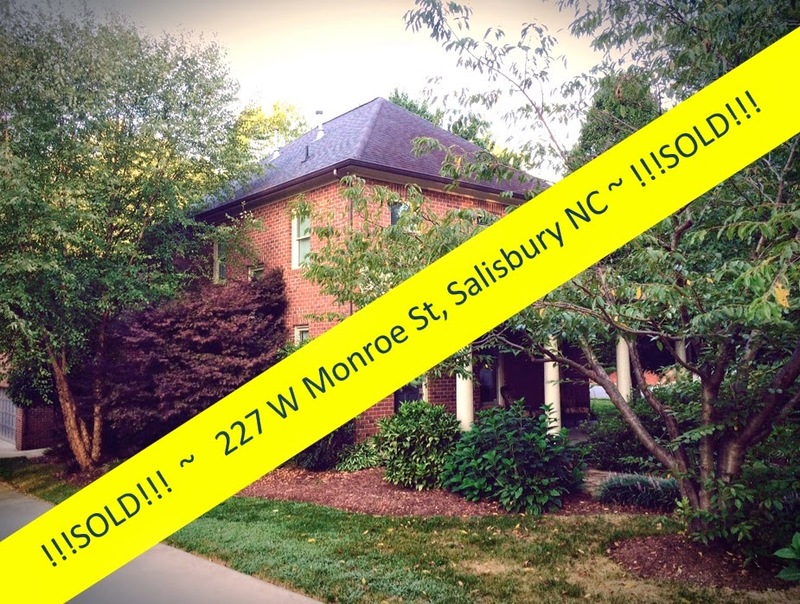 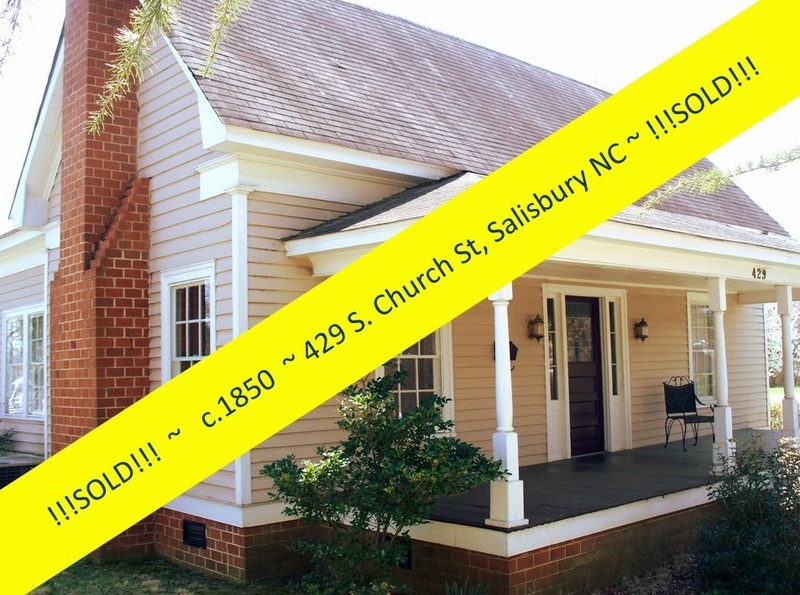 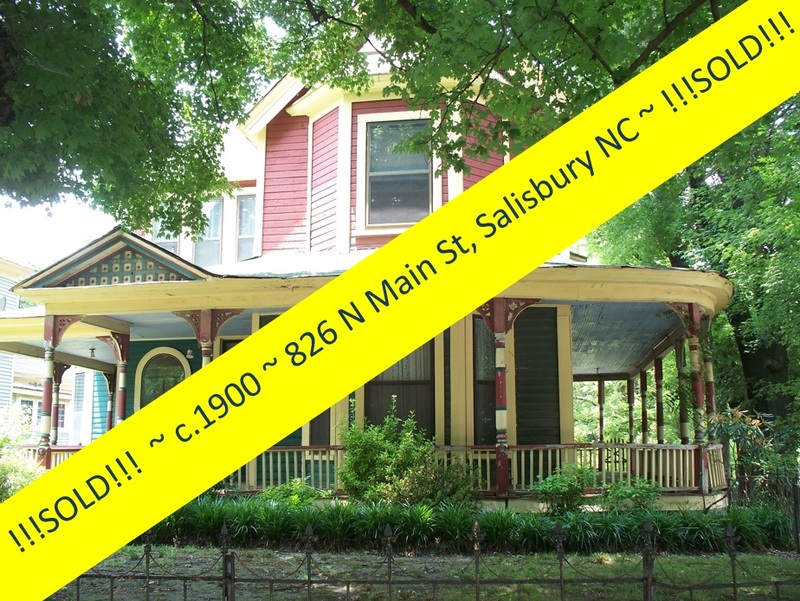 Historic homes for sale in Salisbury NC present a unique offering. 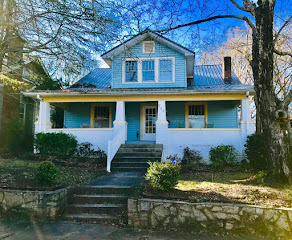 With an unprecedented number of homes on the market, 19th and 20th century homes see a lot of competition from new or newer-constructed homes. 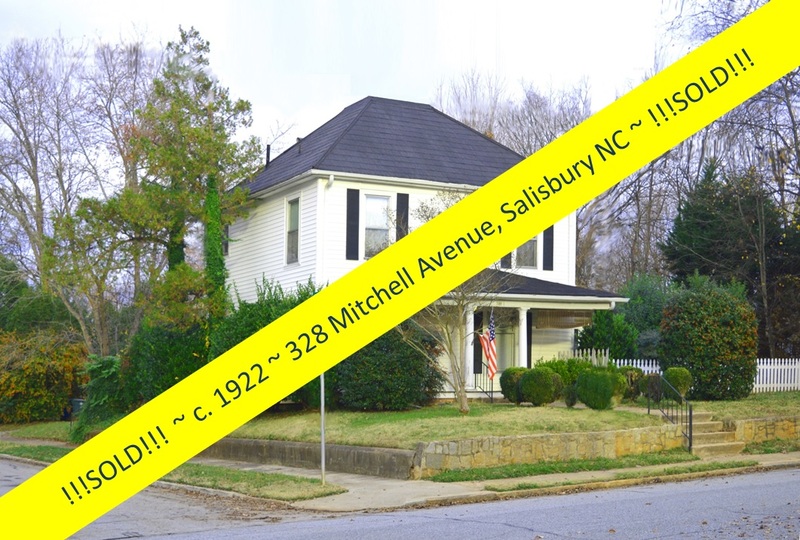 In most cases, a historic home is the better choice. 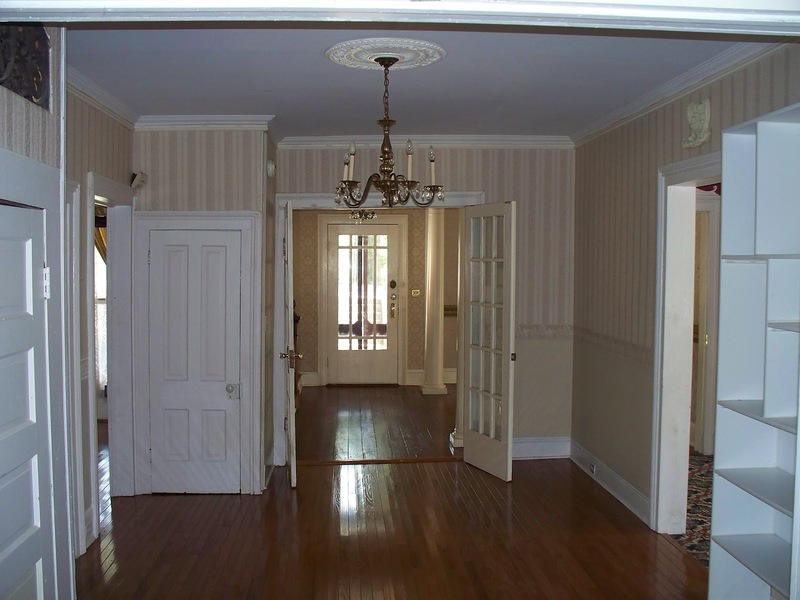 When buyers visit historic homes, they feel at home as soon as they walk through the door. 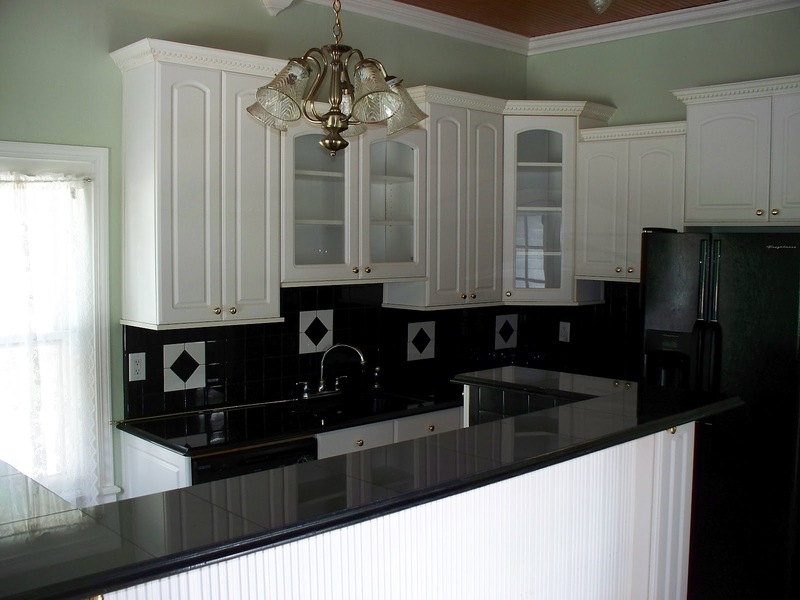 New construction homes can feel cookie-cutter and sterile. 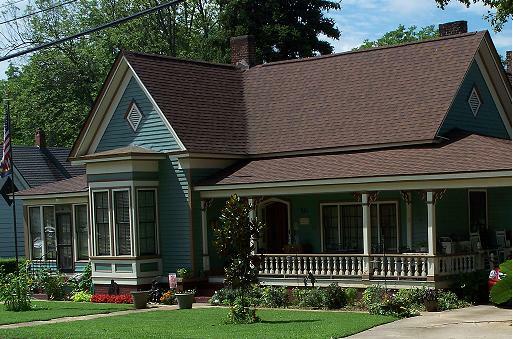 Historic homes tend to have a personality and character of their own. 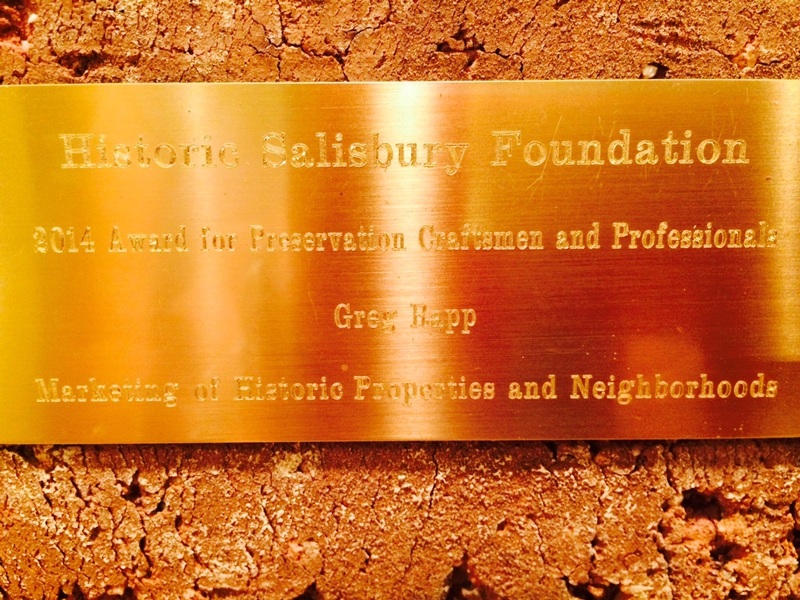 Historic homes often come with a history lesson, and people love a good story. 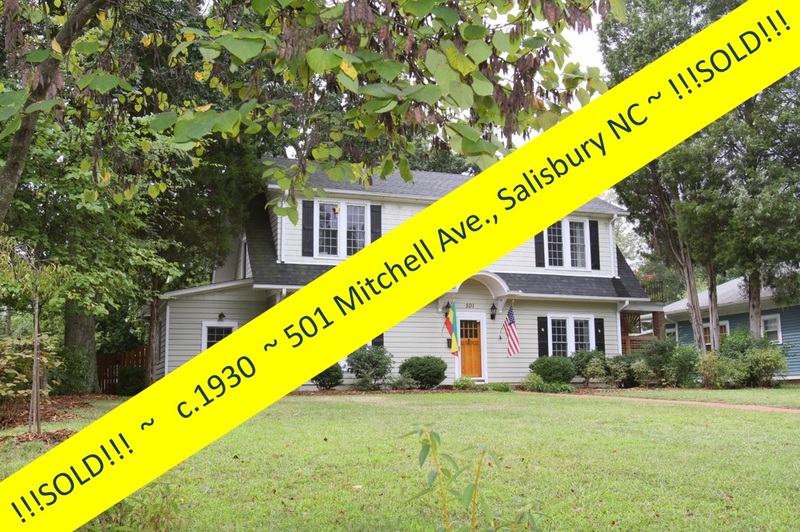 A little research will tell you: Who has owned or lived in your home? 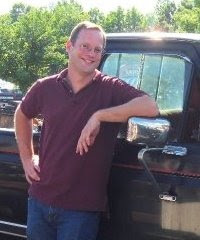 Are there any stories about them? 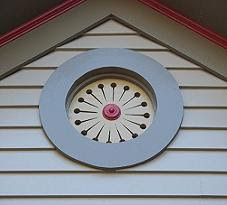 Who originally built it? 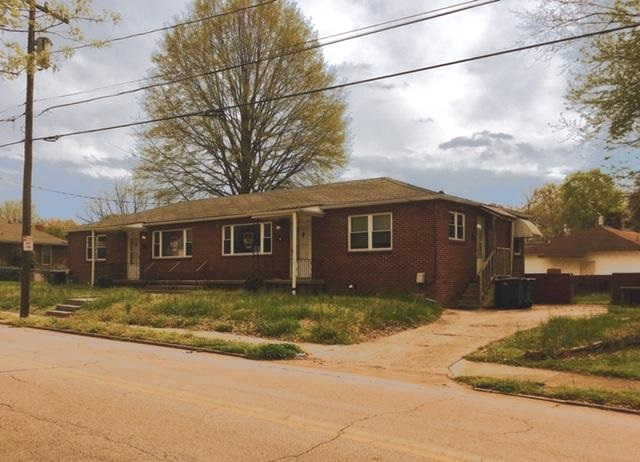 What was going on at the time that it was built? 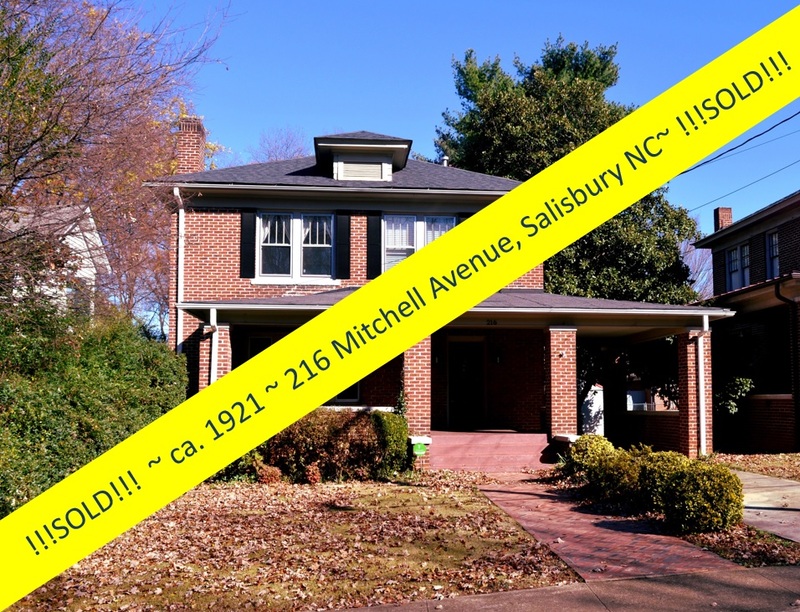 You may find that you have a national treasure on your hand…or at a minimum you"ll have a story to share with friends and family! 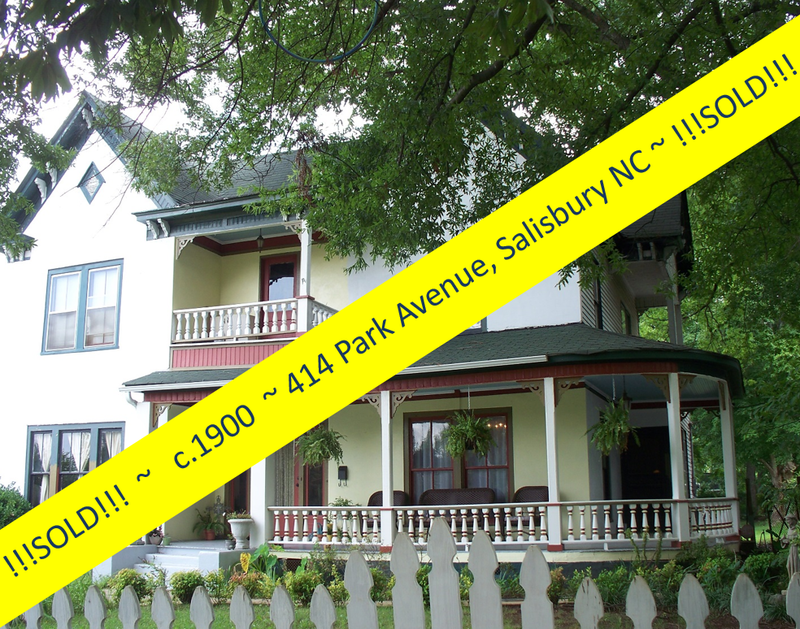 Enter the circa 1895 Julian~Phillips House, a historic home for sale in Salisbury NC in the Brooklyn South Square Historic District. 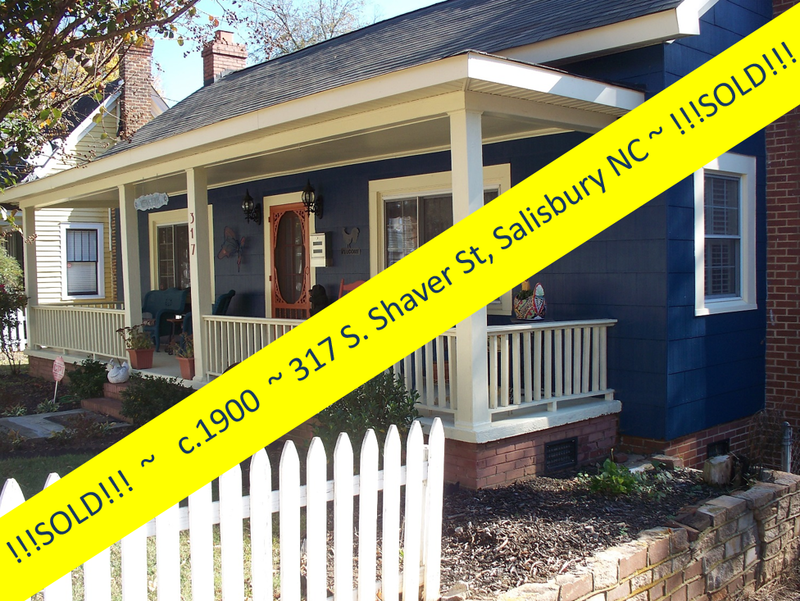 This two story, 4-bedroom, and 2-full bath home, at just $200,000 is a historic gem! 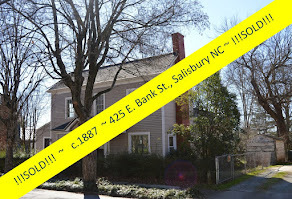 The Julian~Phillips House at 309 E Bank Street sits at the western boundary of what was once the Confederate Prison at Salisbury NC during the Civil War. 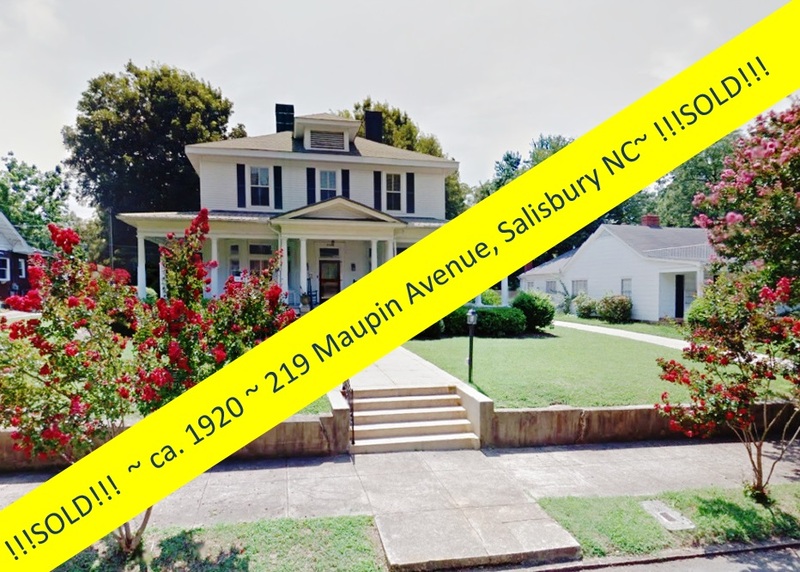 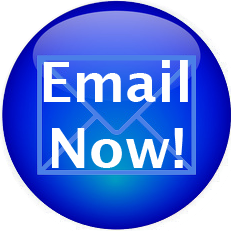 The Salisbury Civil War Sites Driving Tour takes you through town and into what were the prison grounds, and 309 E Bank Street can be seen on this tour. 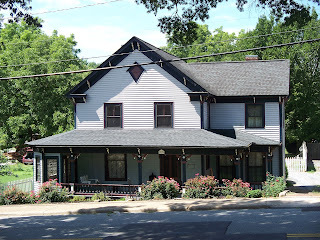 Coming from Main Street, heading east on Bank Street, if you look to your extreme left beside the railroad track you will see a red 2-story cottage that served as a guard house. It is the only building surviving from the time of the prison. 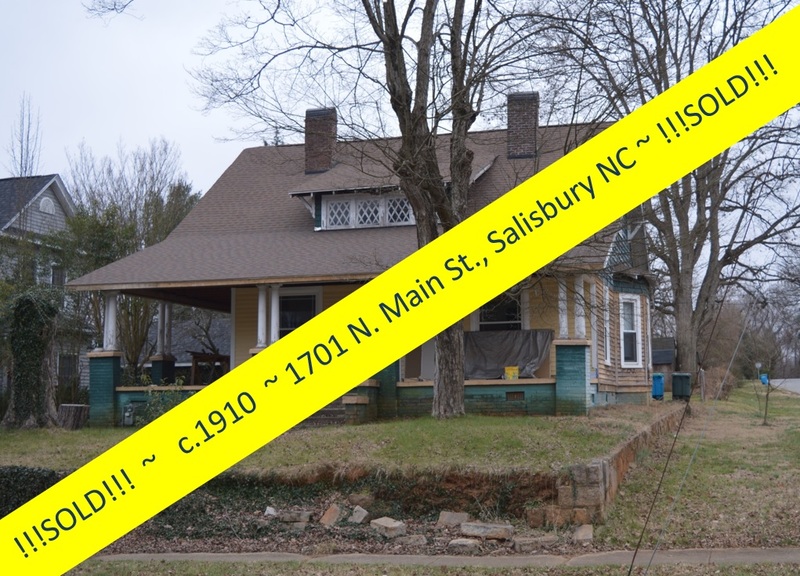 It originally was a story and a half log house owned by William Valentine, a free man of color, who was also a barber. 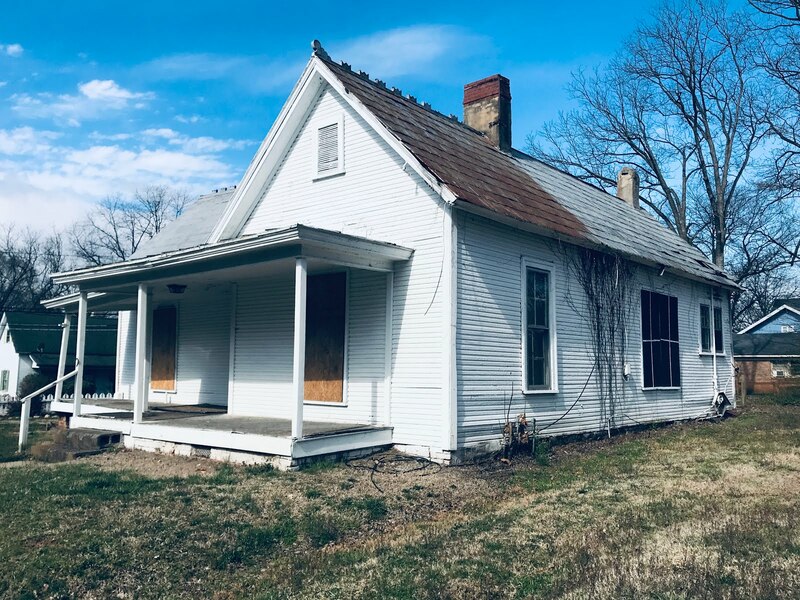 As the prison grew, guards were housed here and across the railroad at a commissary house that once stood there. 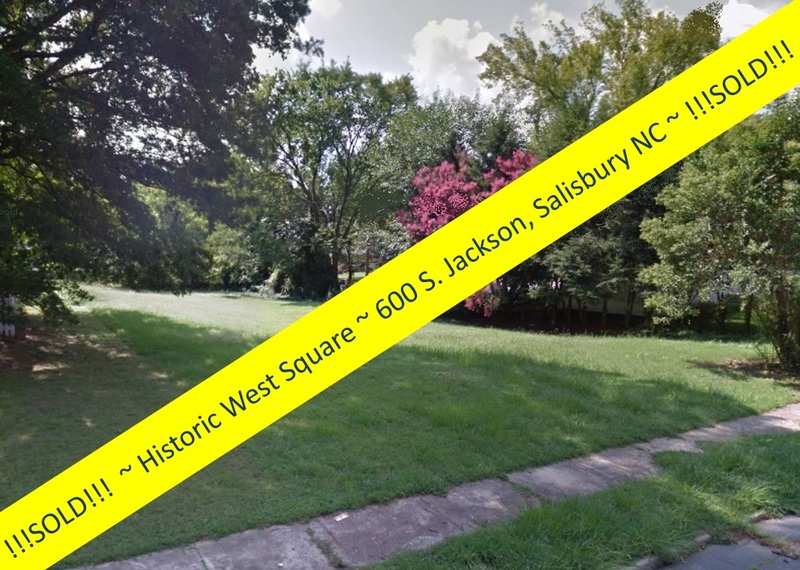 The commissary house was located directly across the street from 309 E Bank Street. 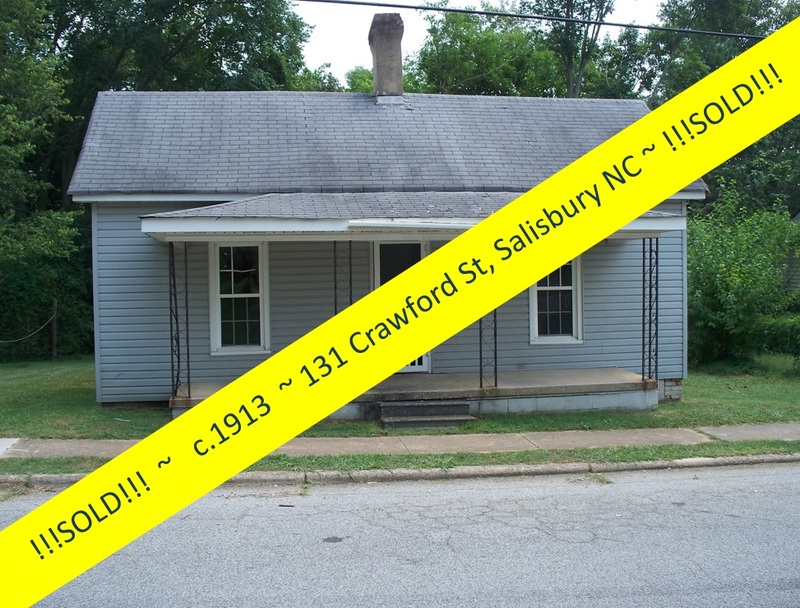 On December 9, 1861 the first 120 prisoners of war were unloaded at Salisbury. 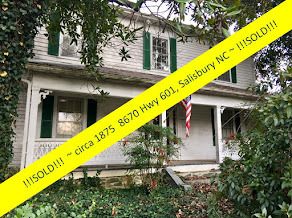 Many people were eager to see a "live Yankee soldier". 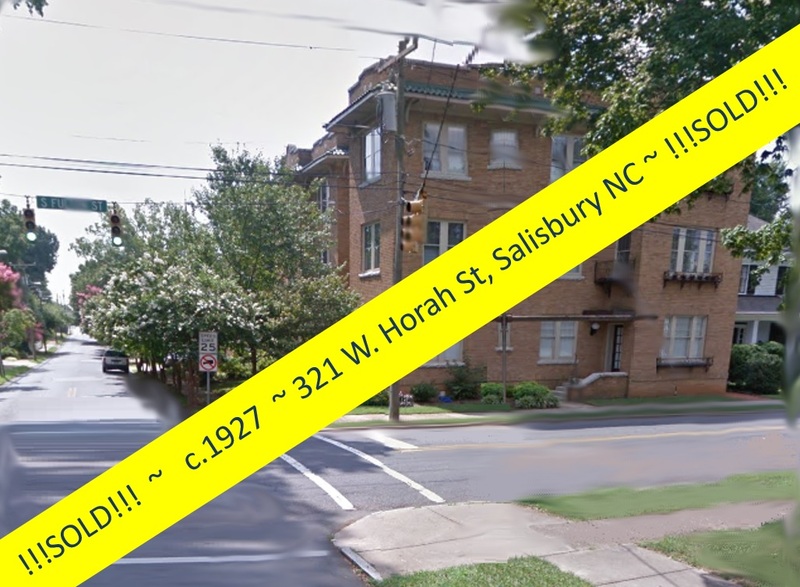 Factory Street (now Bank Street) led to a huge cotton factory that the Confederacy converted to a prison to hold POWs. In 1862, a prisoner wrote his wife "we have a beautiful grove and a fine flower garden embraced within our parole, and it is a great luxury to promenade these grounds”. 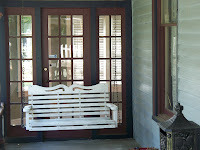 As you cross the bridge, you are 40 yards from the main gate. 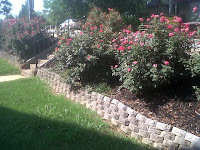 Tall wooden palisades surrounded the entire prison grounds of about 16 acres. 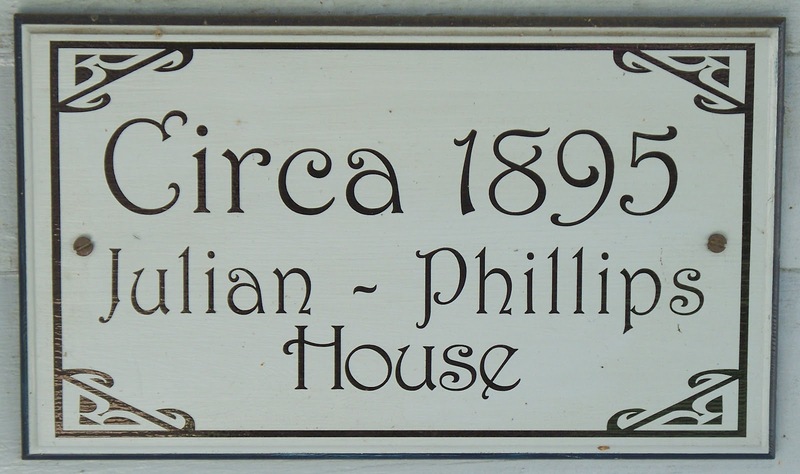 The Julian~Phillips house is very near to where these gates once stood. 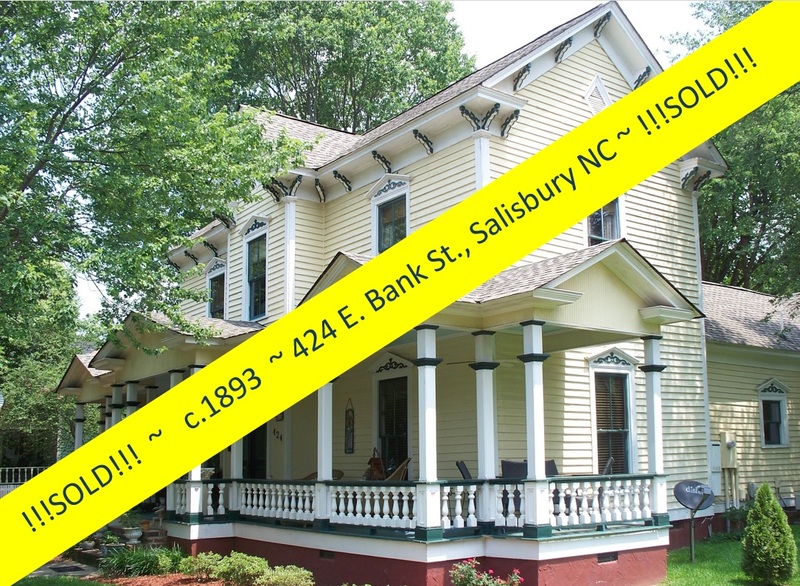 This expansive and handsomely decorated two-story weather boarded frame Victorian dwelling was built about 1895 by D. R. Julian, Rowan County sheriff during the period 1900-1906. 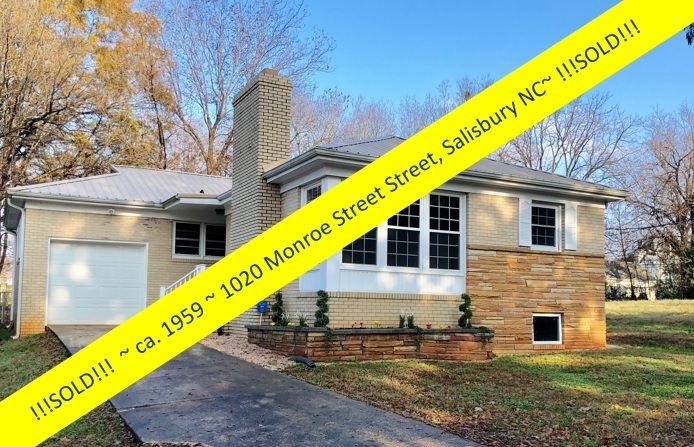 Set behind a sloping bank created in 1950 when the railroad bridge was raised, the house is characterized by a steep gable roof with bold decorative brackets along the eaves and an asymmetrical composition. 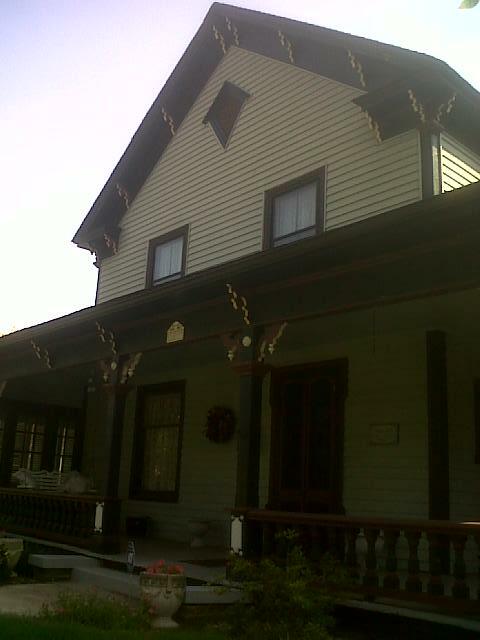 The western addition and wrap-around porch were added in 1902, giving the house its present appearance. 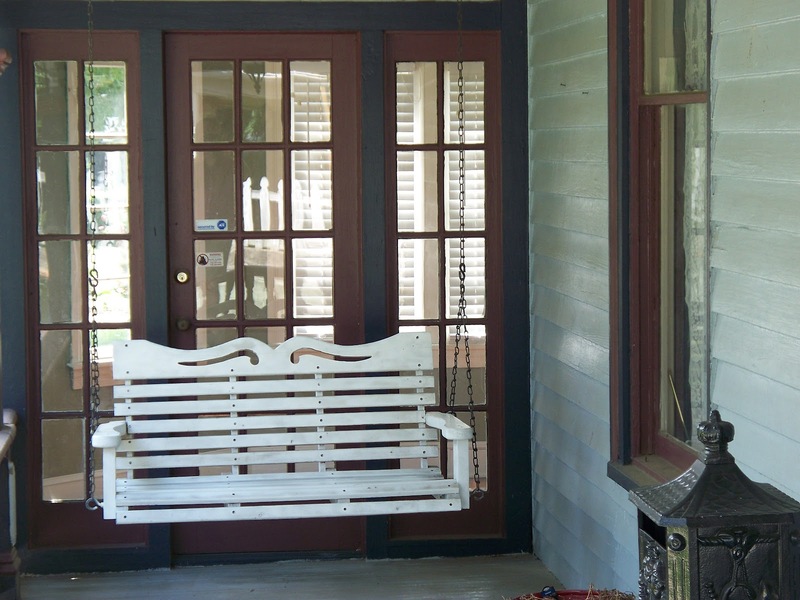 The porch features heavy square posts, a turned balustrade, and decorative brackets, some of which were removed from the eaves of the house and placed on the porch in the 1902 remodeling. The current owner landscaped the front sloping yard with ever-blooming roses and other perennials. 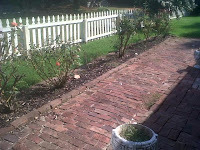 The driveway is partially brick ~ turning to stone gravel towards the back of the home. Neighboring properties to 309 E Bank Street are these handsome Victorian residences: The c. 1899 Hamill-Thompson-Kessler House at 321 E. Bank Street, the 1891 Holmes-Hamill House at 321 ½ E. Bank Street, and the c. 1895 M. C. Rufty House at 310 E. Bank Street, one of the most eclectic in the district. 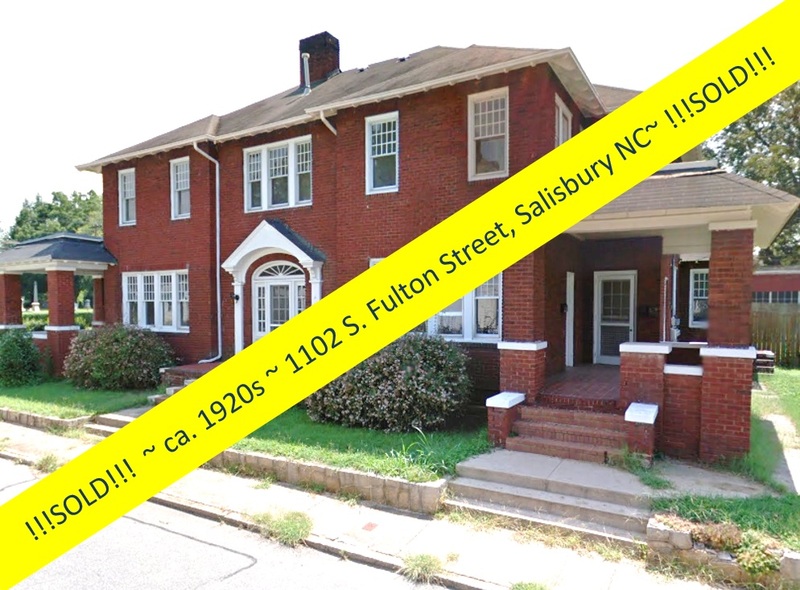 Both pivotal homes were featured on the Historic Salisbury Foundation’s annual October Tour of Historic Homes in 2009. 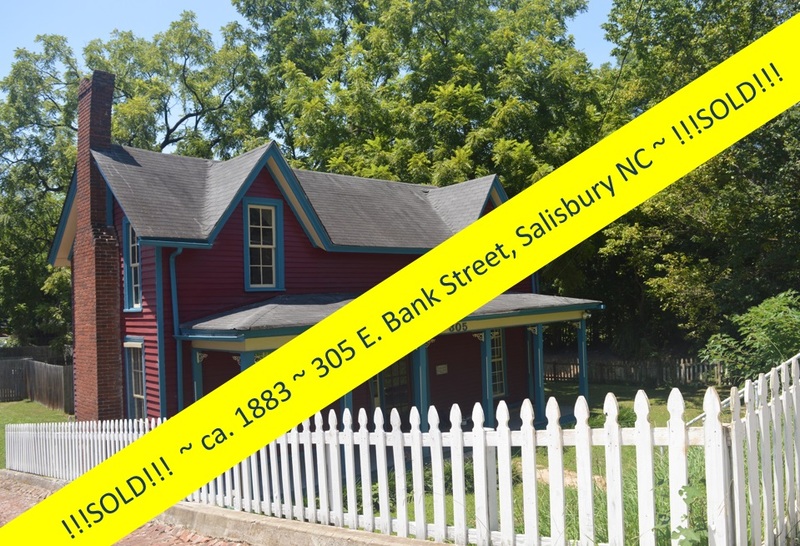 Just across the railroad bridge to the west is the historic Woodson-Overcash House, c. 1840 at 224 E. Bank Street, the two-story weatherboard over square-notched log house ~ the oldest structure in the district and only remaining structure from the Confederate Prison at Salisbury. 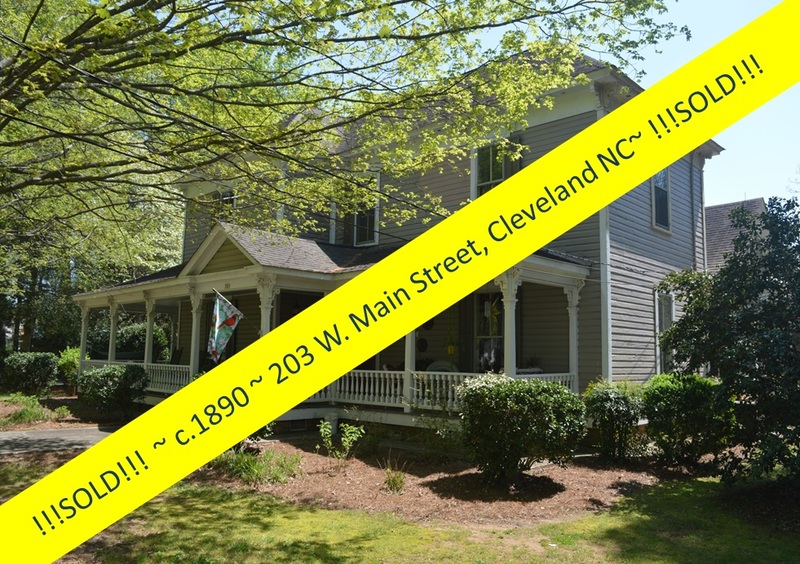 Apart from the rich history that surrounds this area, this circa 1895 late Italianate/Victorian home is a jewel of late 19th century architecture with parquet and hardwood floors throughout, a gracious wraparound porch, an east-facing sunroom, and rear brick patio. The large upstairs bathroom features tile floors, a separate shower, and ~ everyone’s favorite ~ a claw foot bathtub. 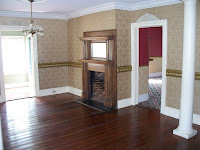 There are masonry fireplaces in the large 21’x14’ living room, den, and the main floor bedroom. 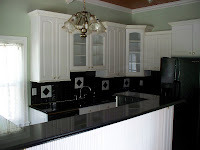 Granite countertops, a modern rimless sink, a surface mount electric cook-top, and plenty of cabinets round out the sunlit kitchen. 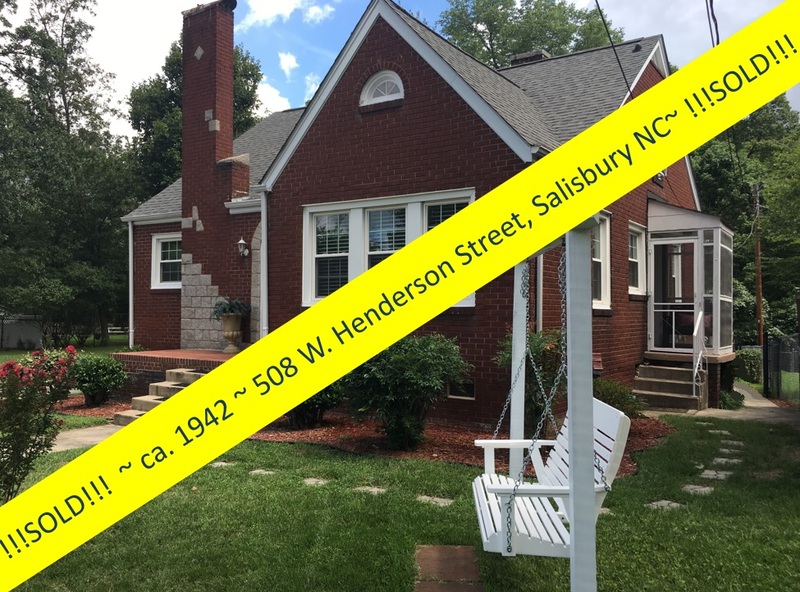 The sprawling floor plan of 309 E Bank Street, with nearly 2800 square feet of living space, features large rooms that could be adapted for a variety of uses. 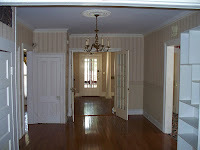 While, like so many Victorian era homes, there are formal parlors to the right and left of the entry, a large center room just beyond the main entrance might make a wonderful recreation room, library (with built-in shelves), den, or central office area. 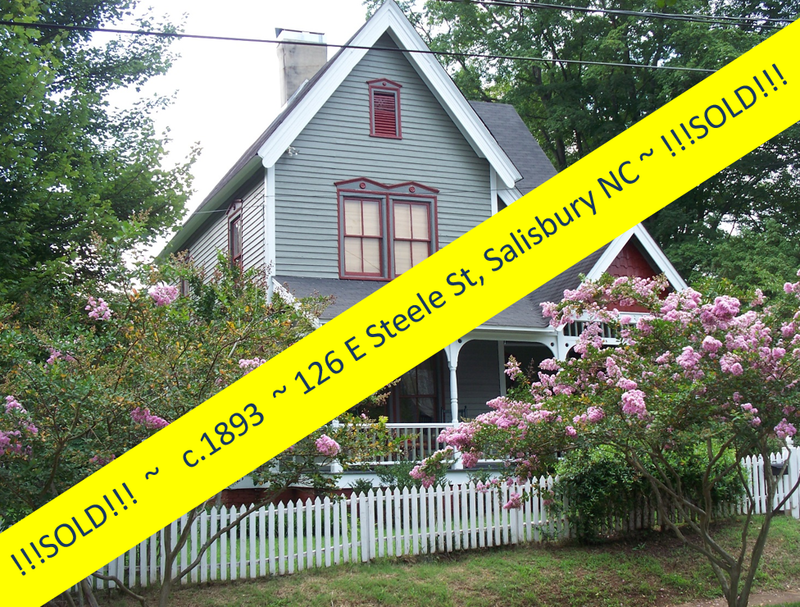 And if you are worried that a 117 year old house might be a maintenance nightmare…worry no more! 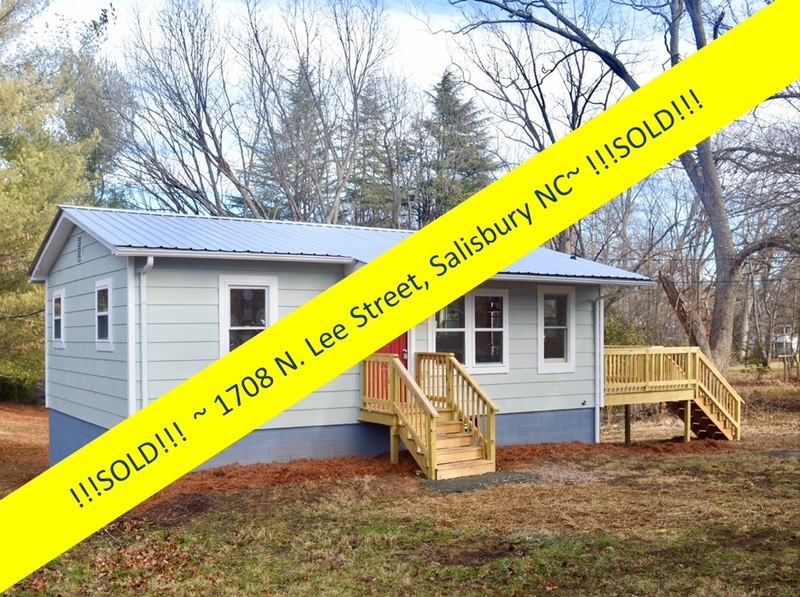 The home is vinyl sided, insulated, with storm windows and every seam caulked by the present owner, who often says she hates to leave the home because it is so warm in winter. In spring and fall, ceiling fans cool the rooms; in summer, central electric air conditioning keeps this historic gem cool. 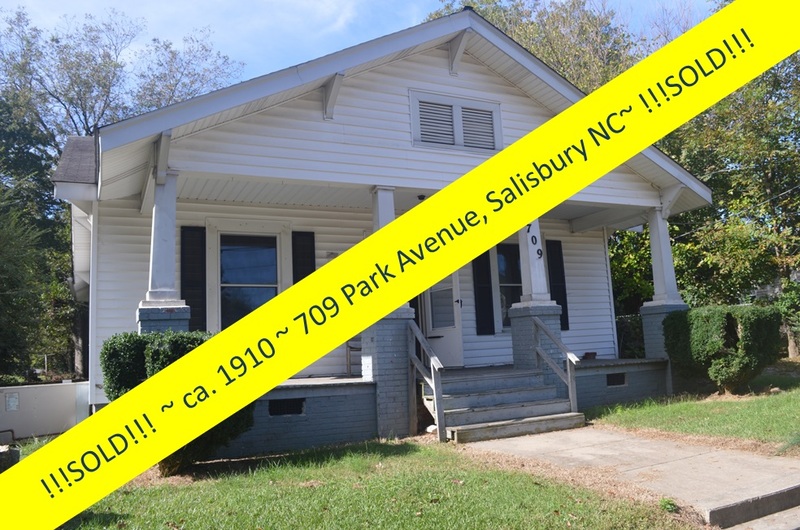 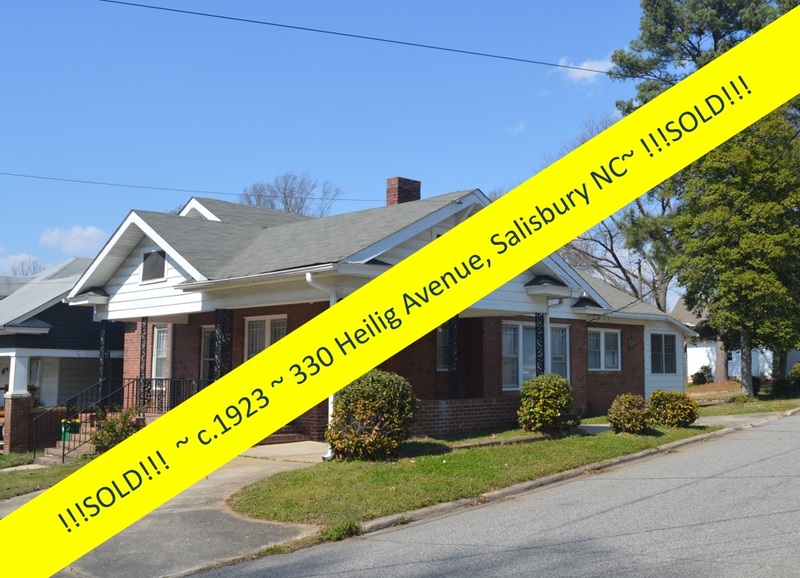 Salisbury North Carolina and its citizens take a progressive approach to identifying and preserving the city’s historic resources. 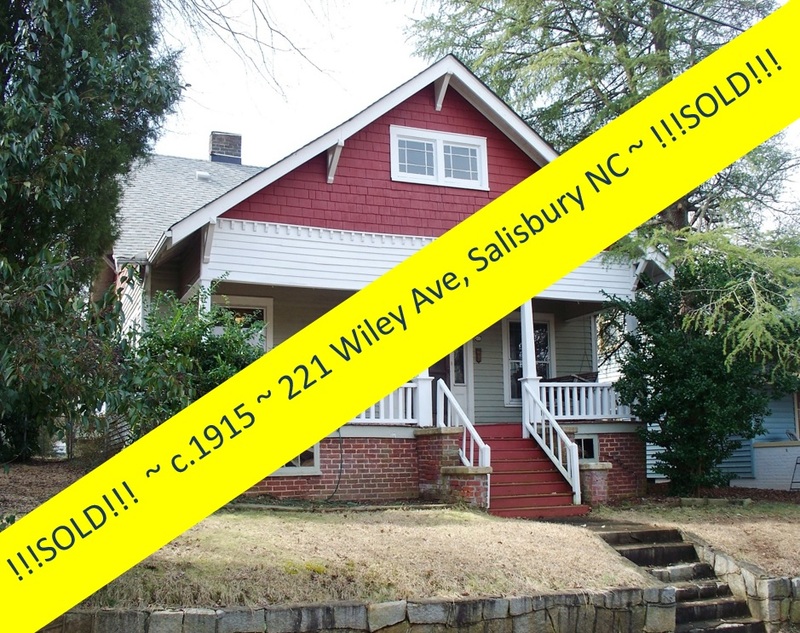 In addition to Salisbury’s five local districts, there are ten historic districts individually listed on the National Register of Historic Places. 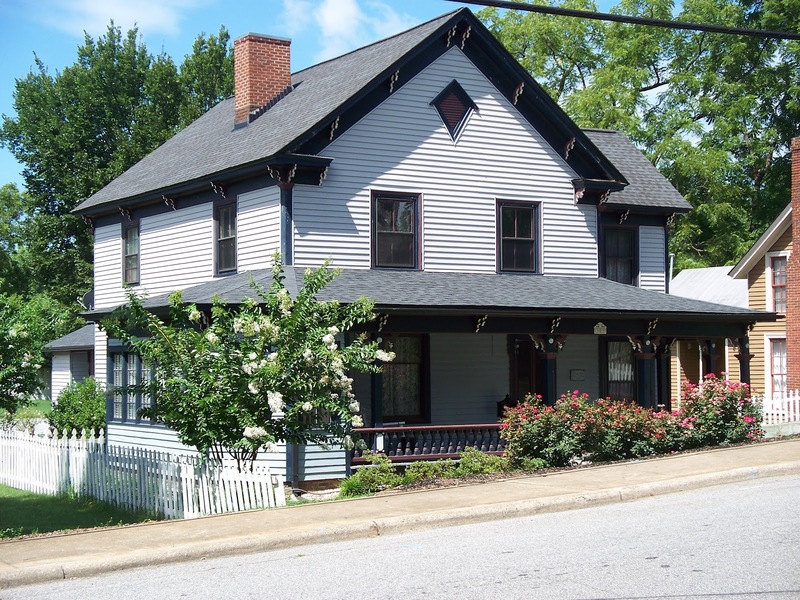 Buildings in a National Register historic district are eligible for a variety of grants and incentives intended to promote the protection and rehabilitation of historic structures. 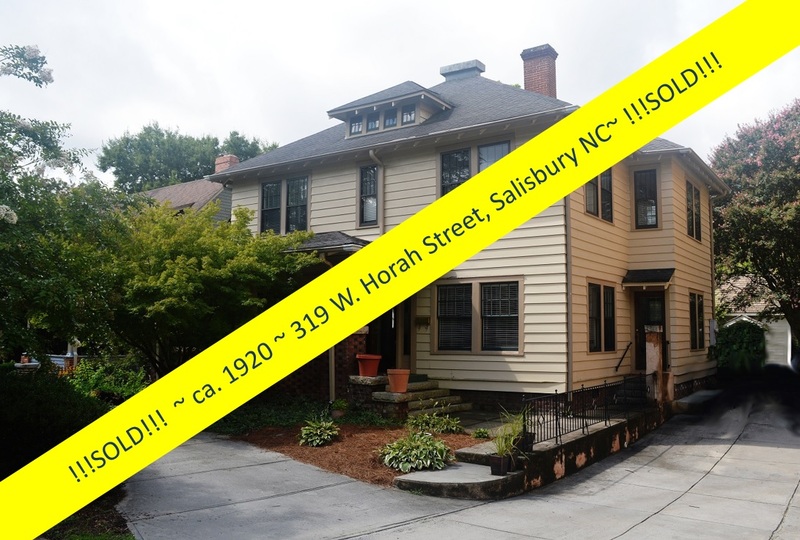 The Julian~Phillips House at 309 E Bank Street is in the Brooklyn South Square Historic District, which has both a national historic overlay and is one of Salisbury’s designated local historic districts. 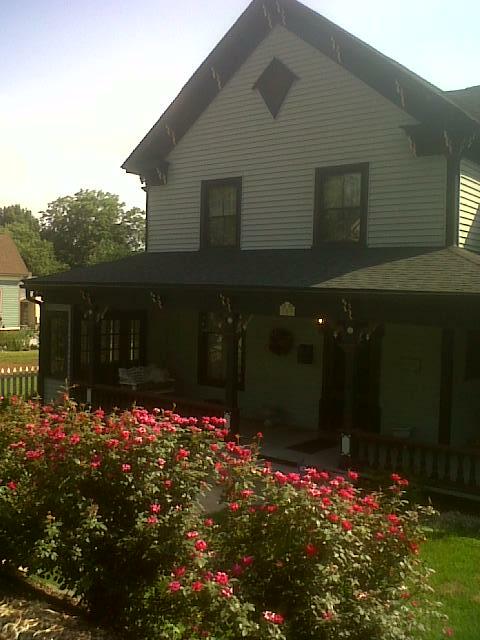 Listing on the National Register of Historic Places is largely honorary. 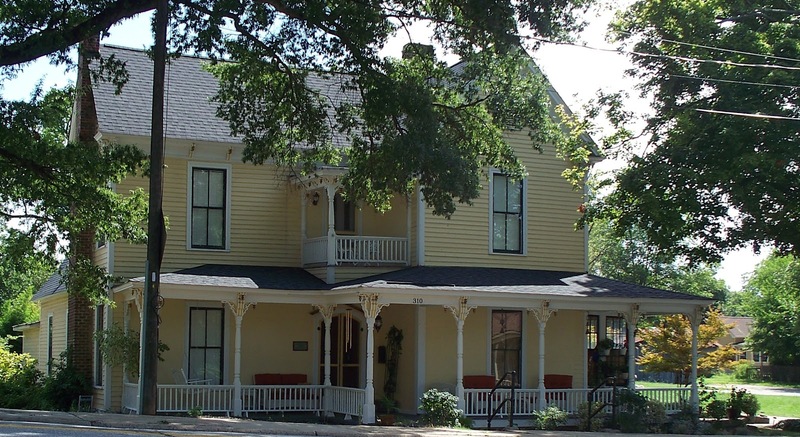 The US Department of the Interior, through the National Park Service, facilitates the National Register program that represents an official listing of cultural resources worthy of preservation. 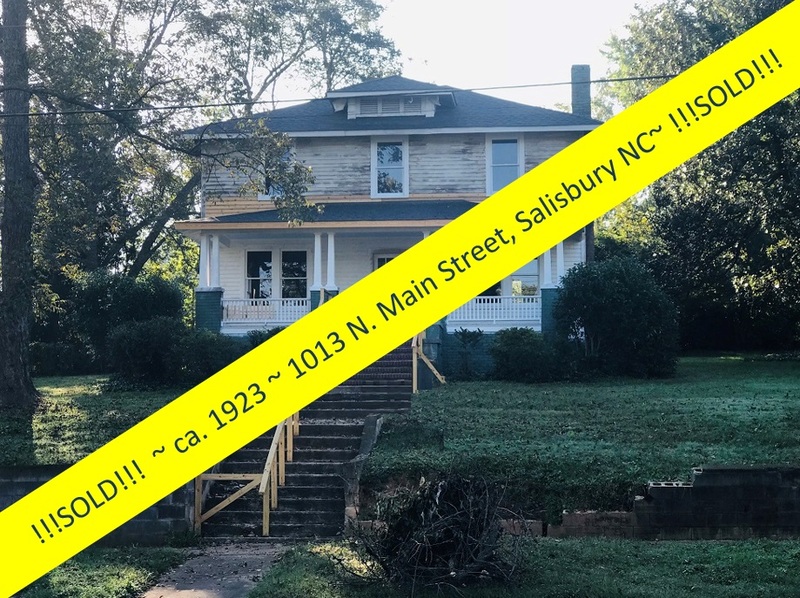 Properties on the register include sites, buildings, and other structures that are significant in their history, architecture, archaeology, or culture to the area, region, and nation as a whole. 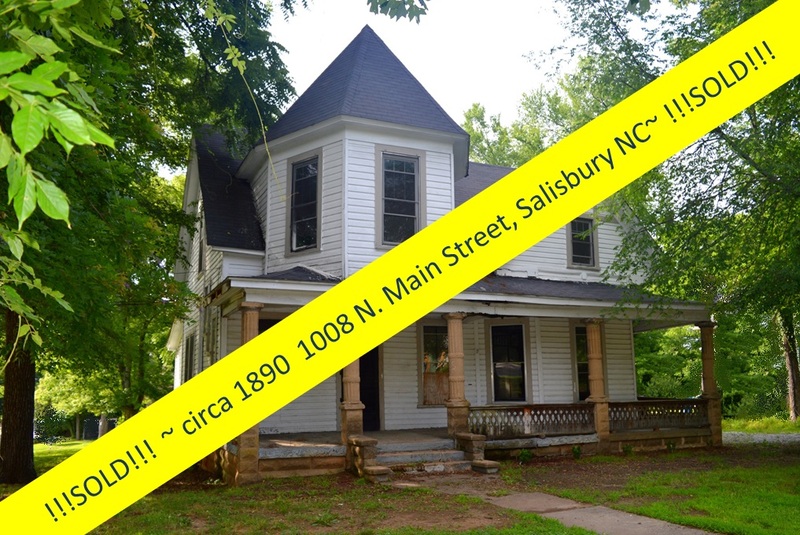 Federal and State governments administer the tax credit programs for properties listed on The National Register. 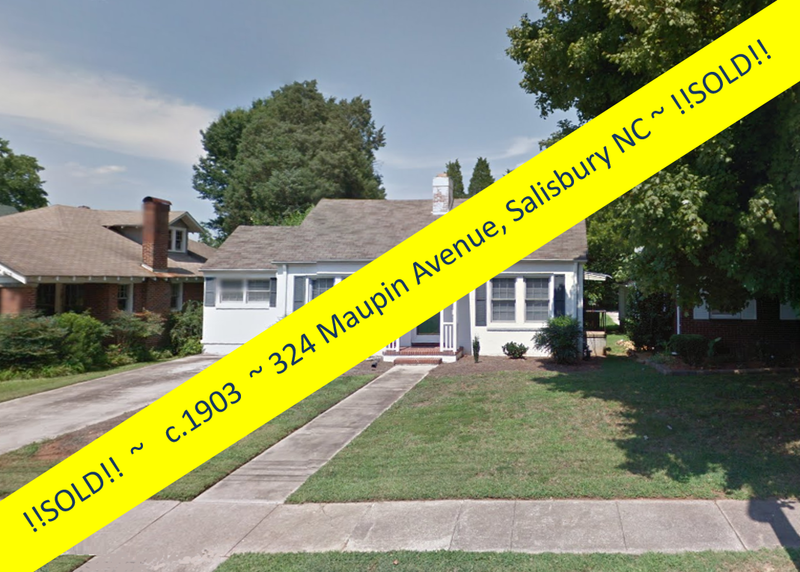 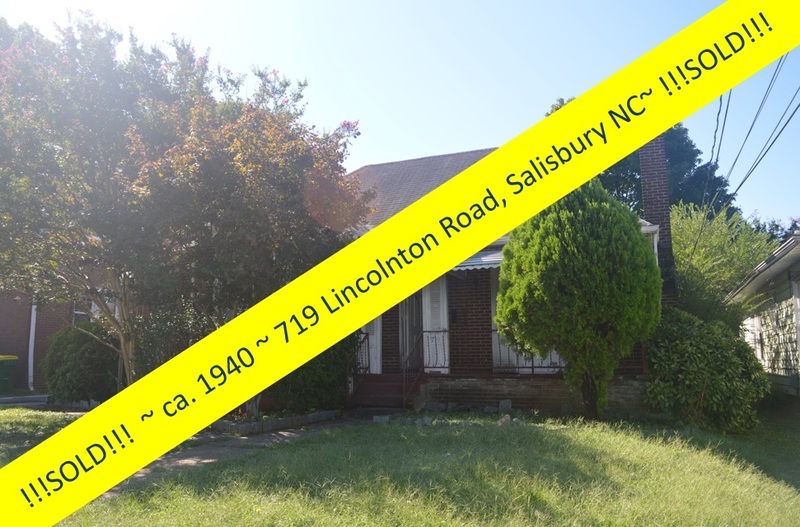 Local districts are those where City Council has designated, through the historic overlay, that the area is significant to the history and architecture of Salisbury and is worthy of preservation. 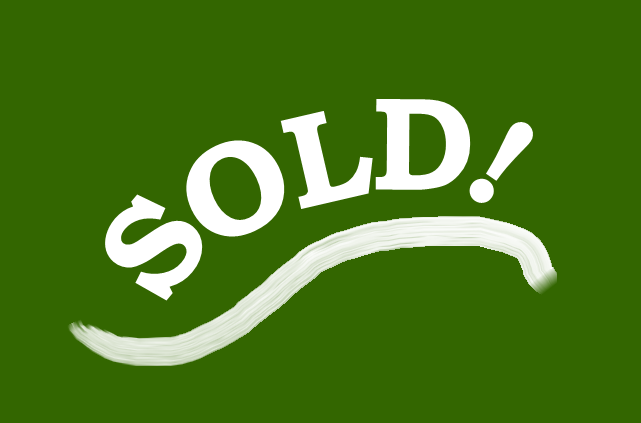 A property owner within a local district will never be forced to make any changes to or improve his or her property. 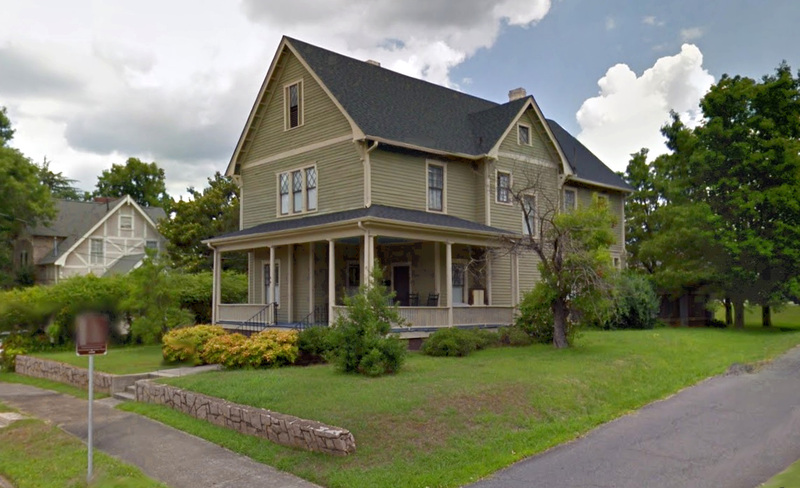 However, if an exterior change is proposed, the Historic Preservation Commission reviews the appropriateness of the change to the property and district. 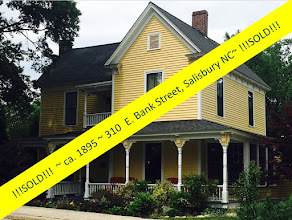 Historic Salisbury Foundation restrictive covenants also apply to The Julian~Phillips House. 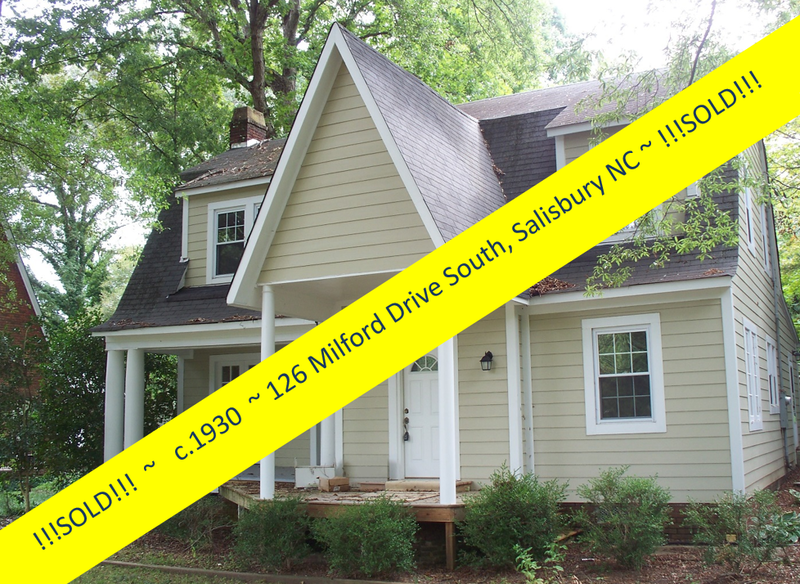 Don't fall in to the trap of purchasing a newly built home that will never compare in personality, quality, or character to an older home. 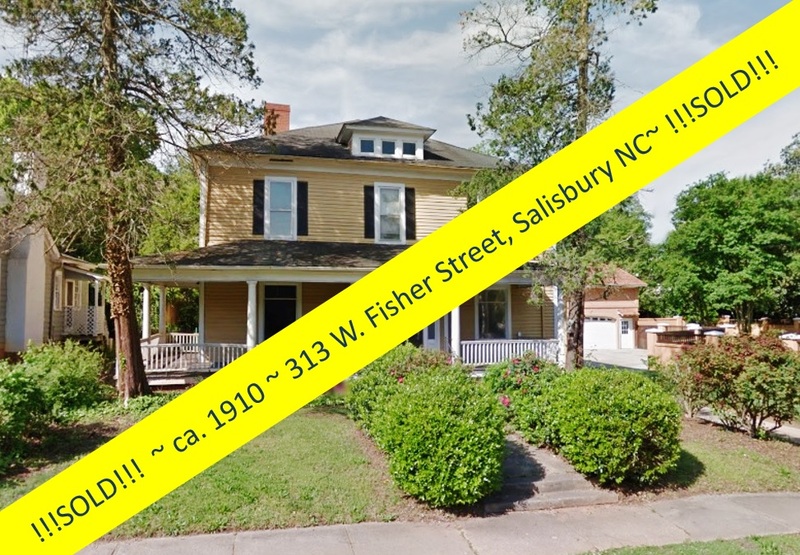 Let Greg Rapp show you the benefits of owning a piece of history like the 1895 Julian~Phillips Home at 309 E. Bank Street ~ and just for $200,000. 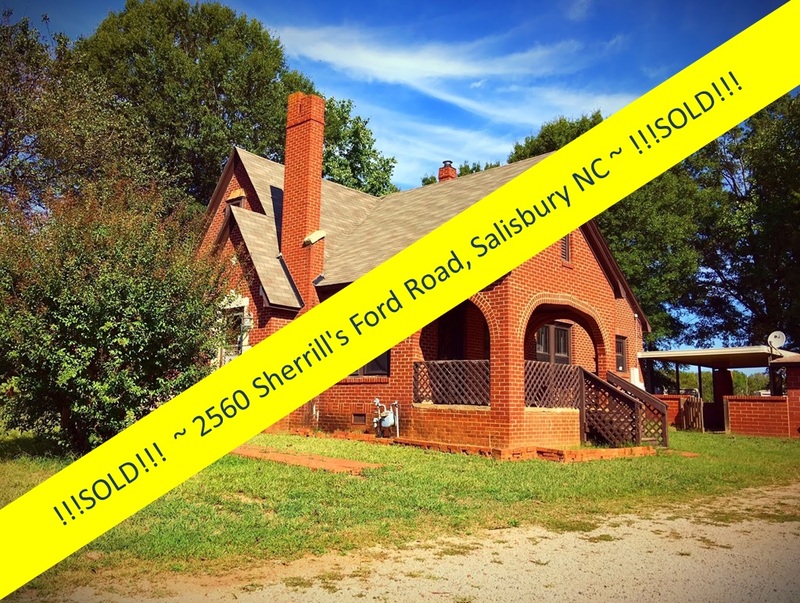 You'll have your own story to tell! 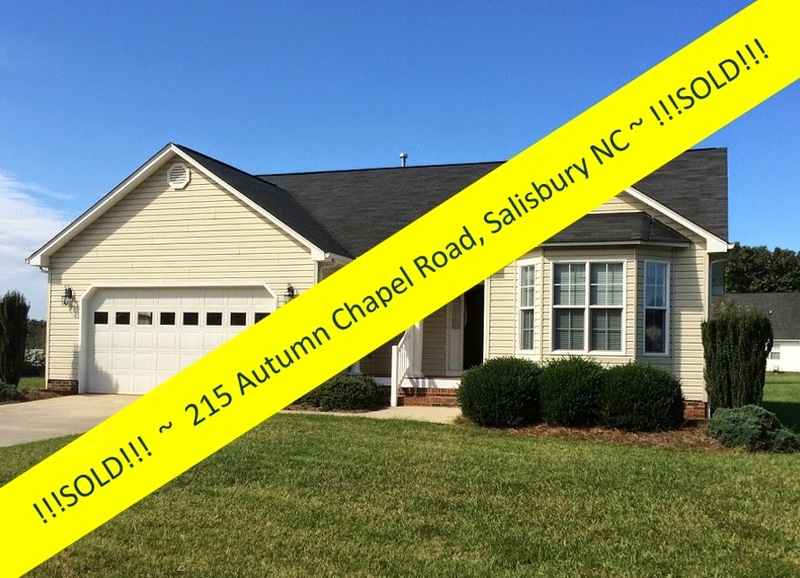 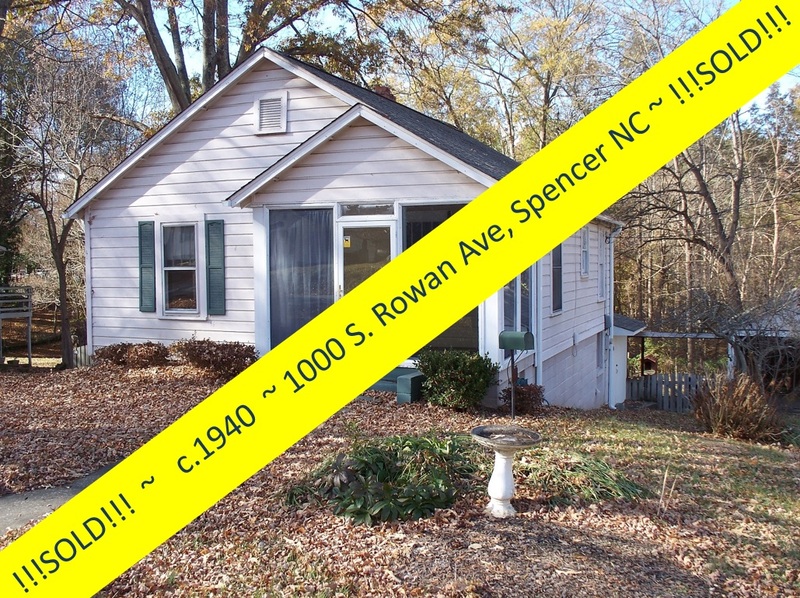 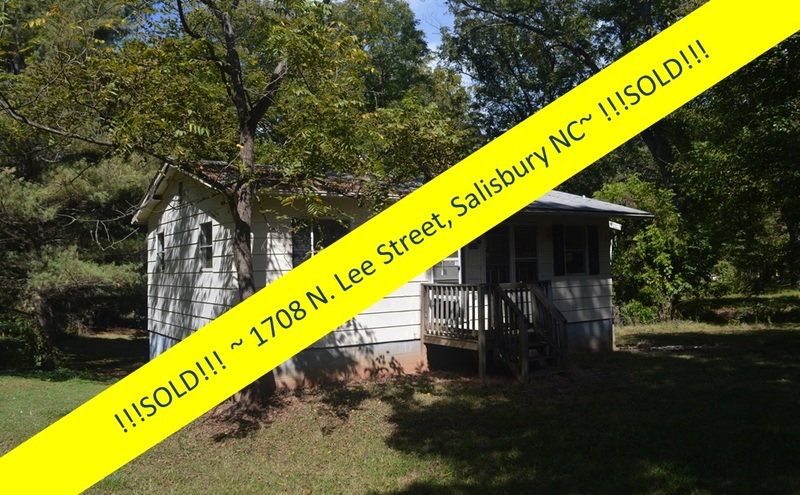 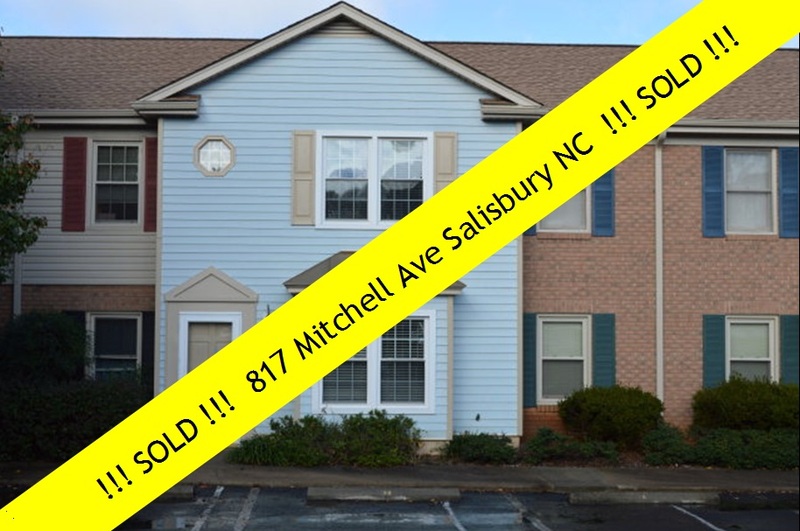 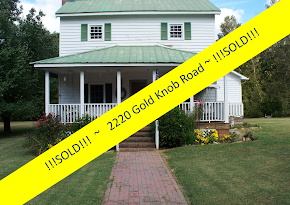 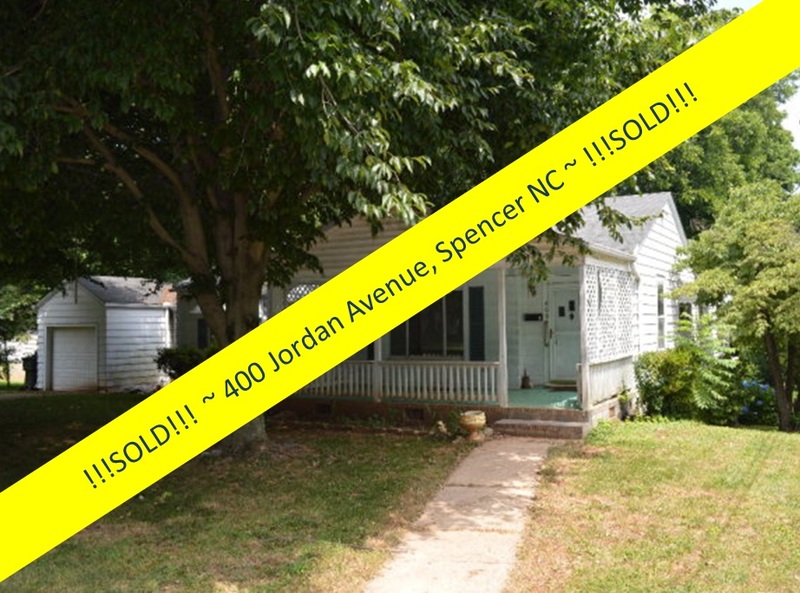 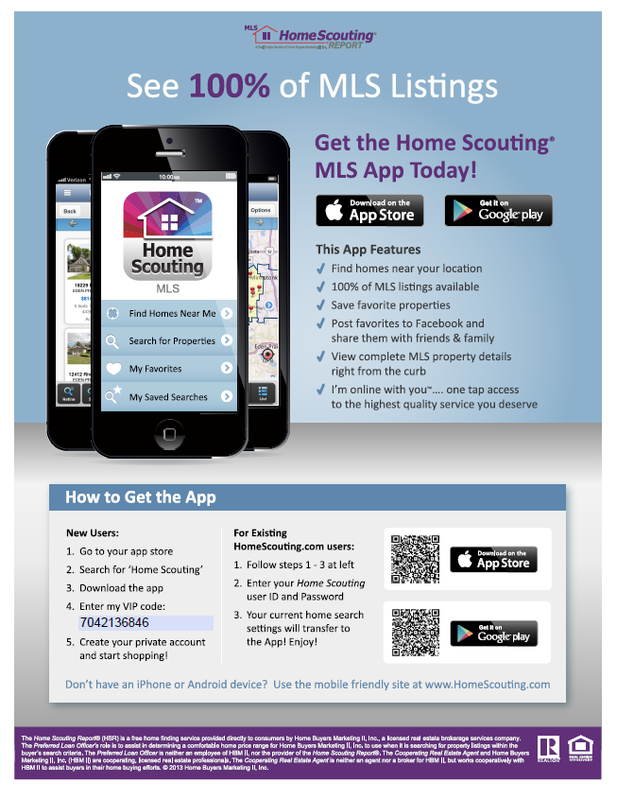 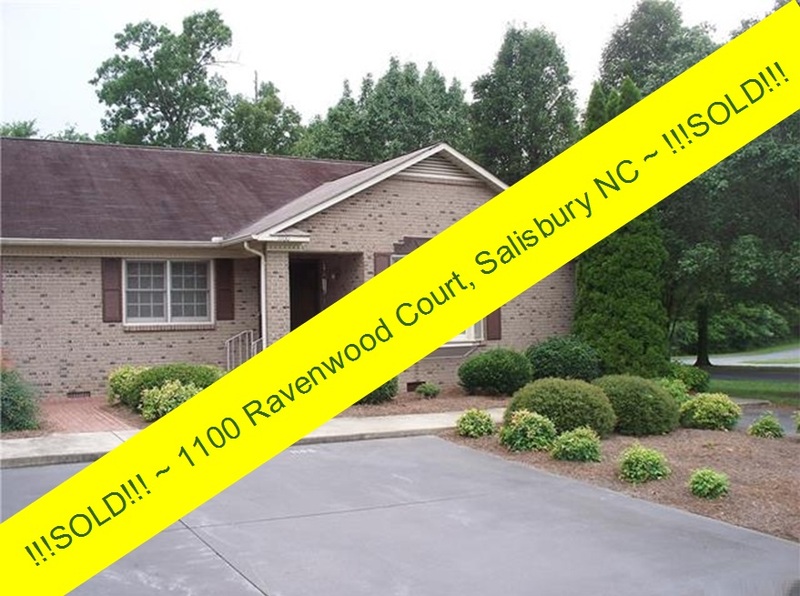 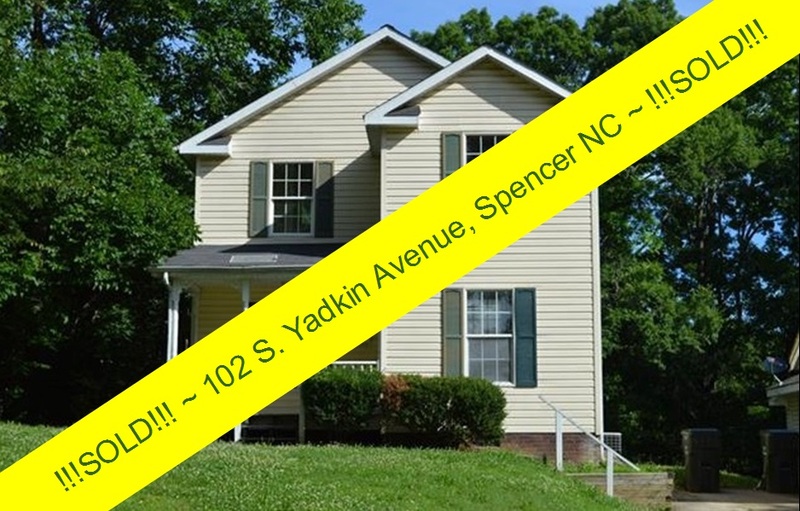 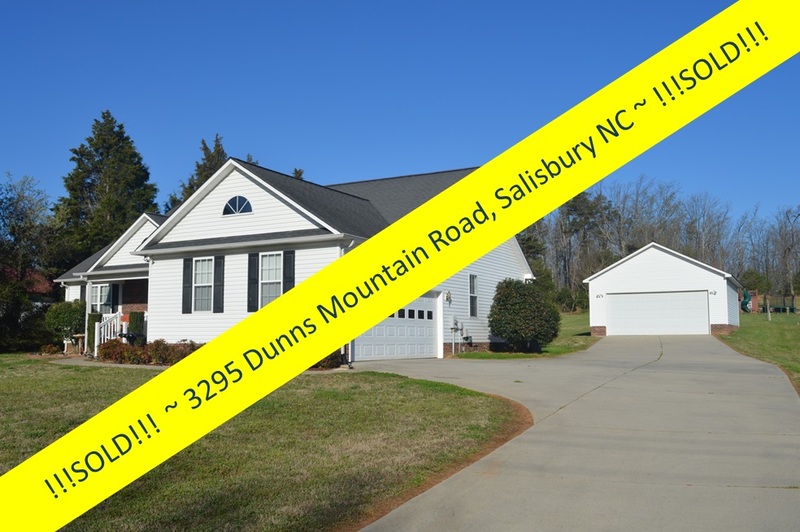 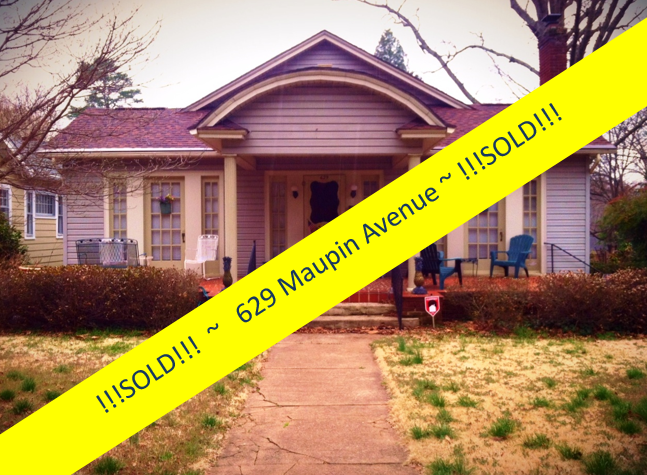 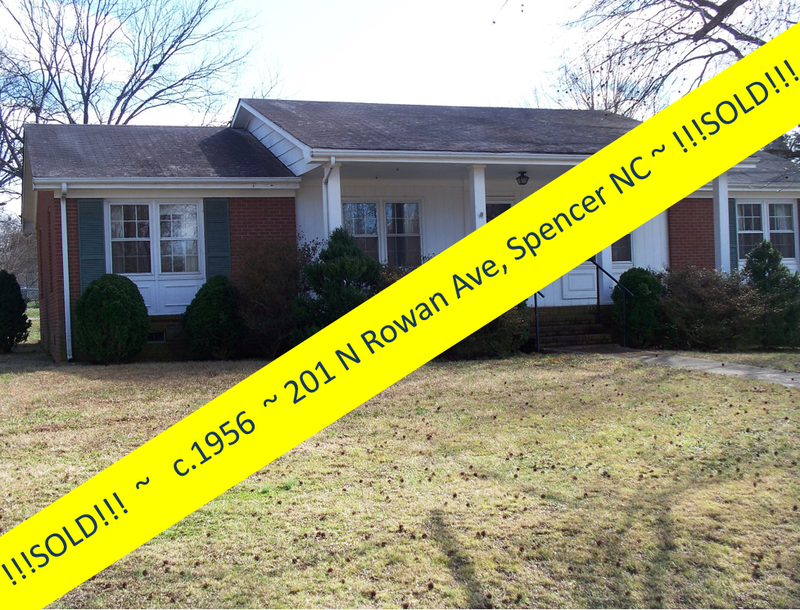 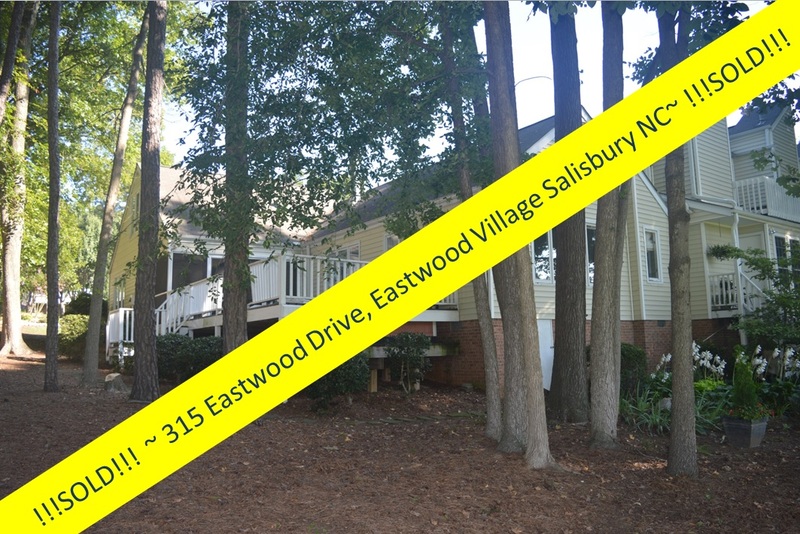 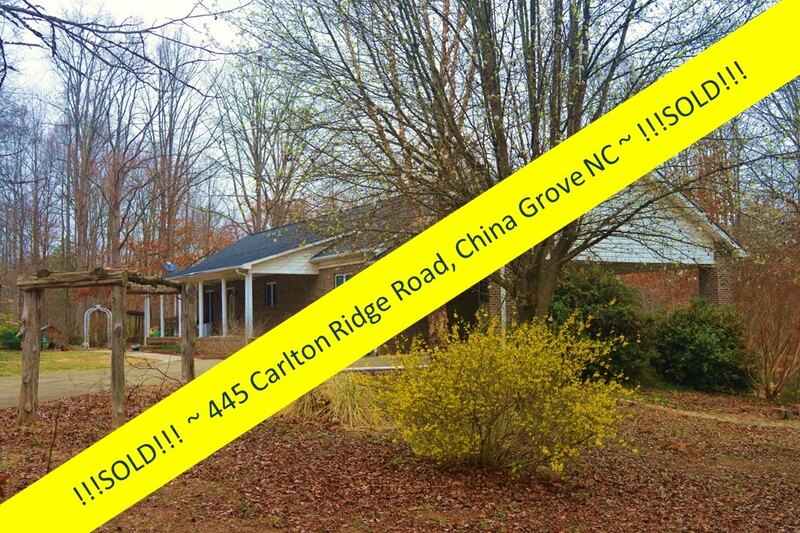 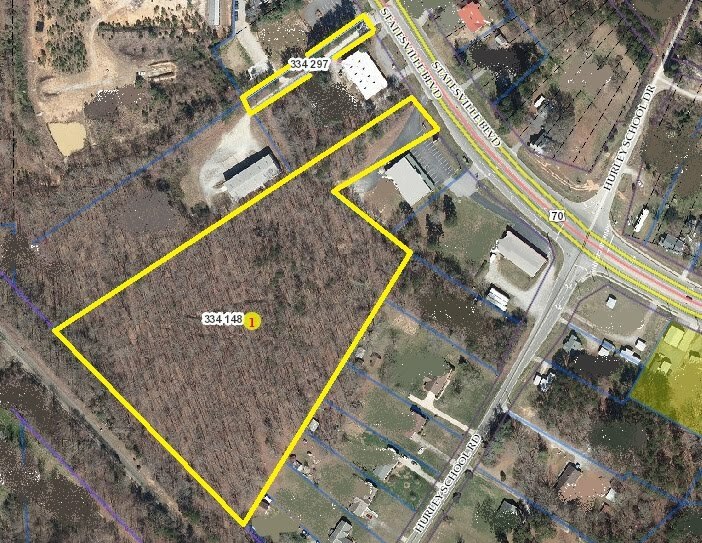 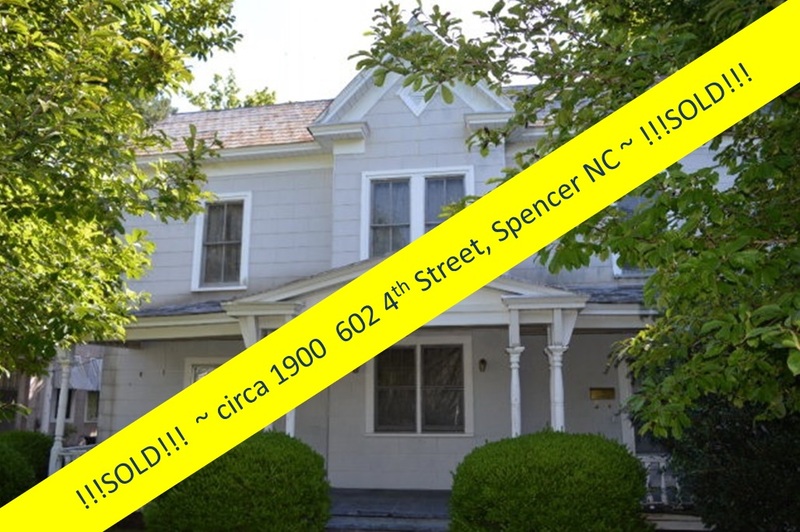 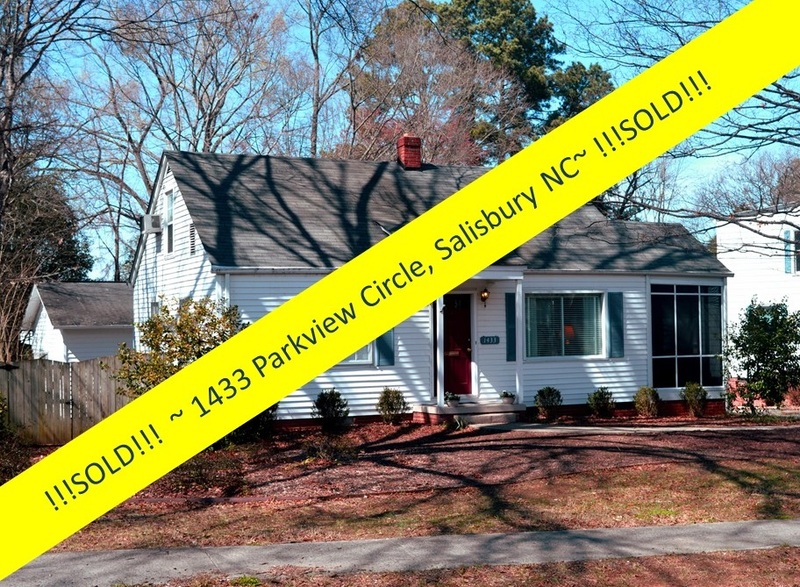 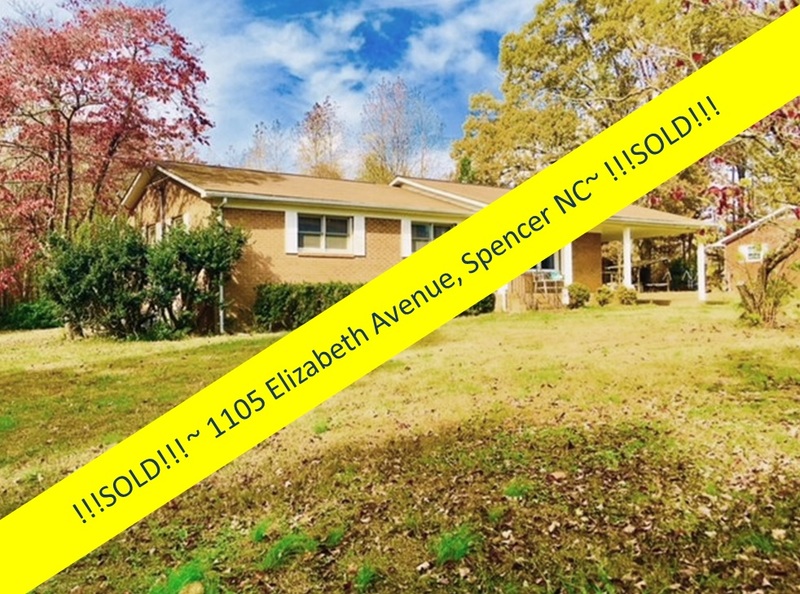 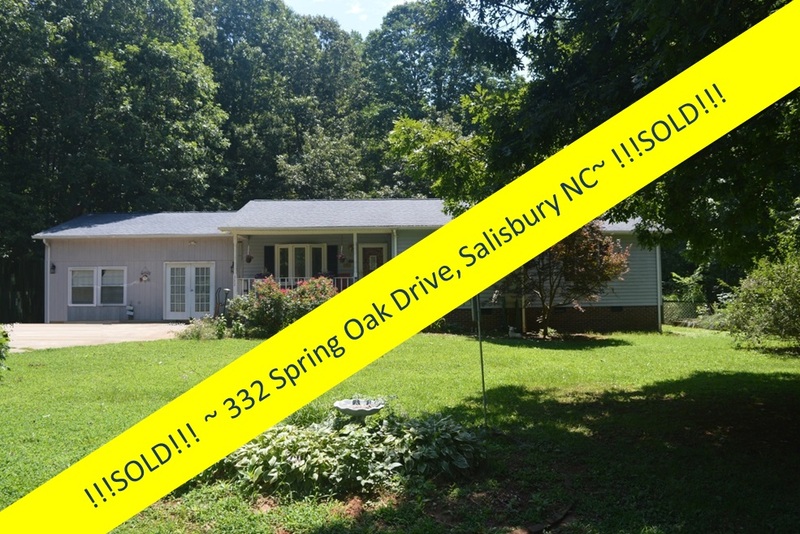 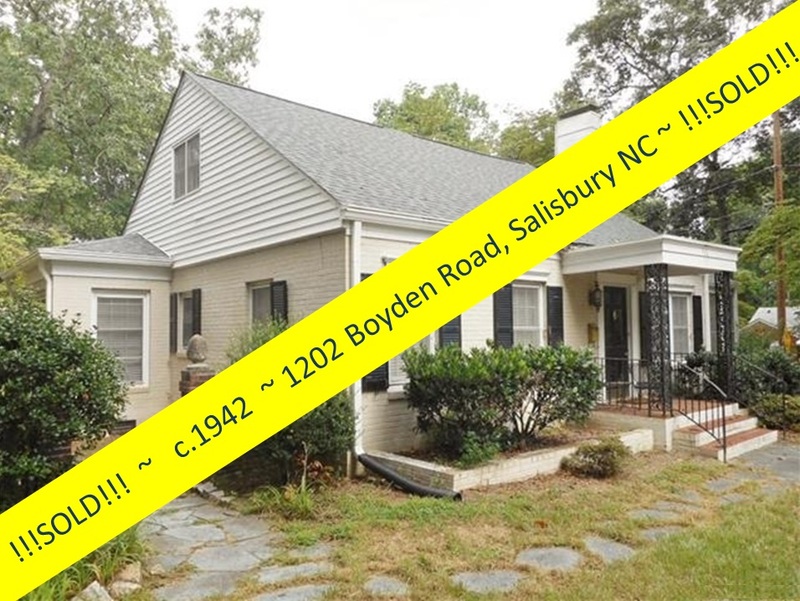 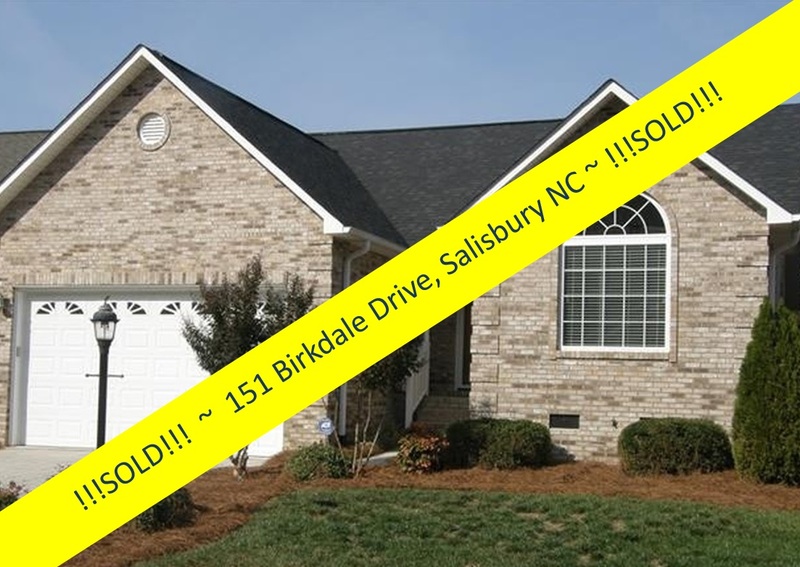 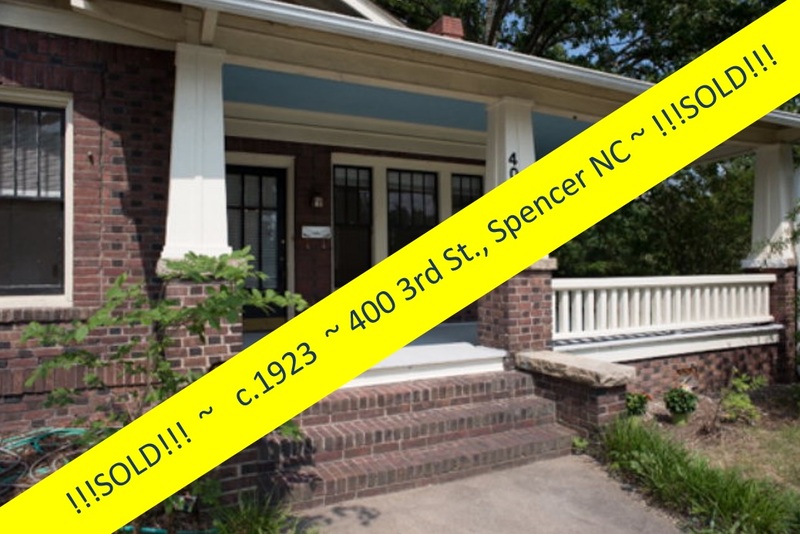 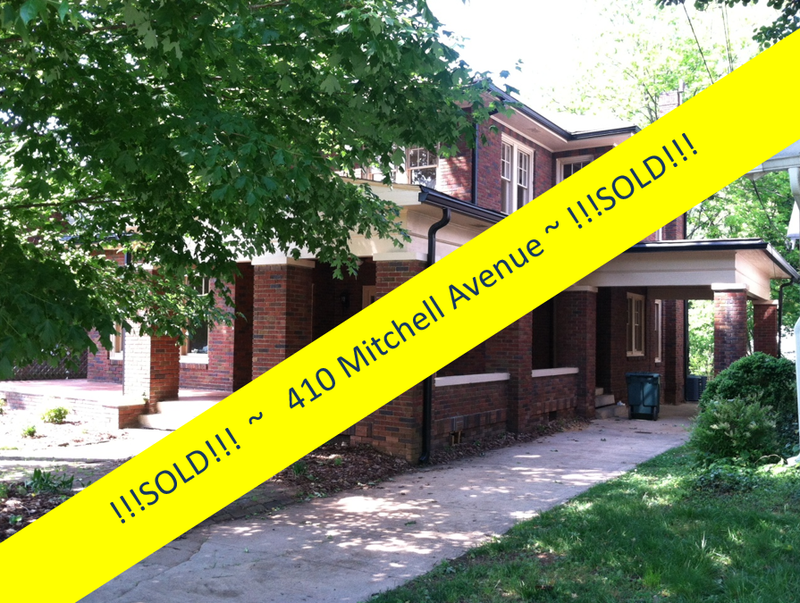 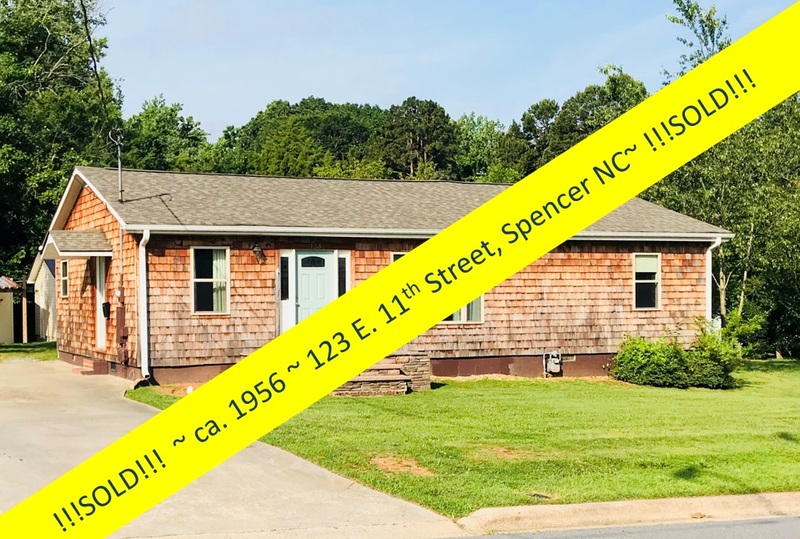 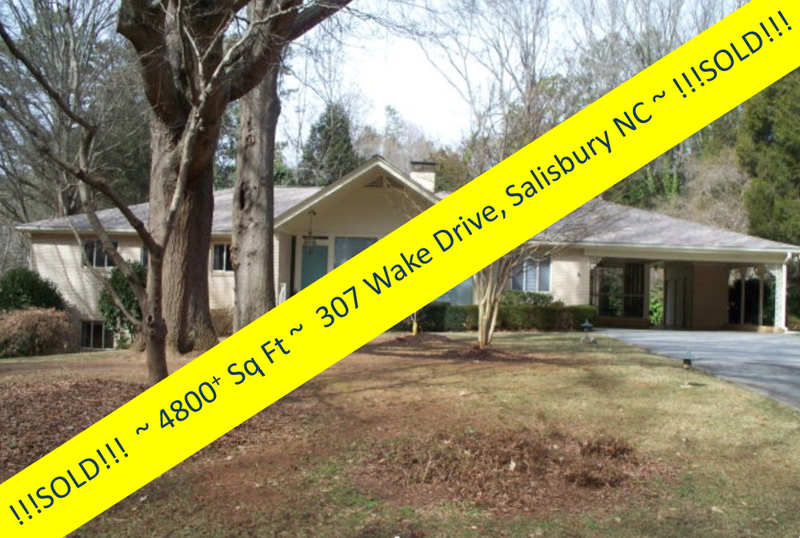 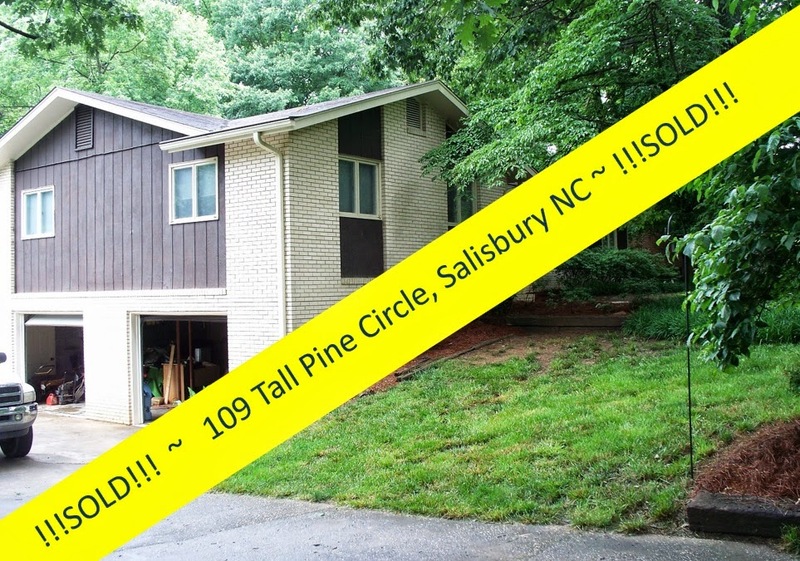 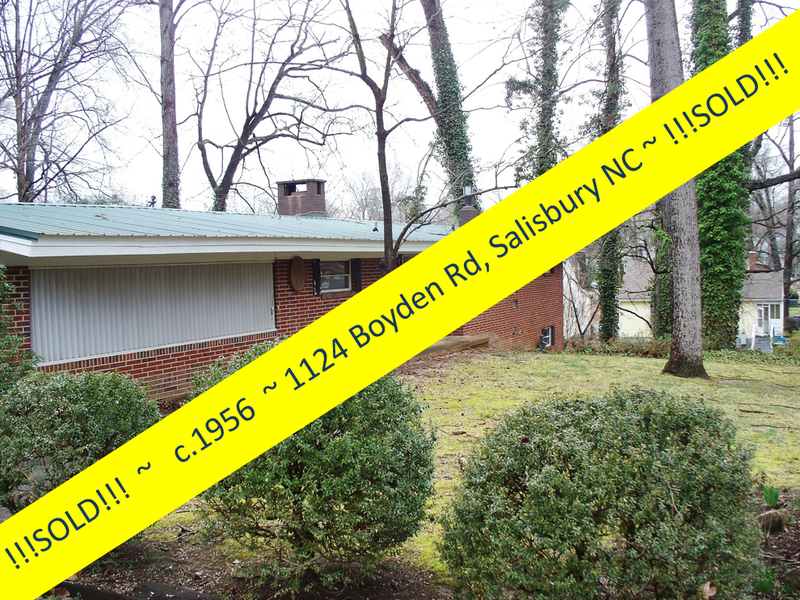 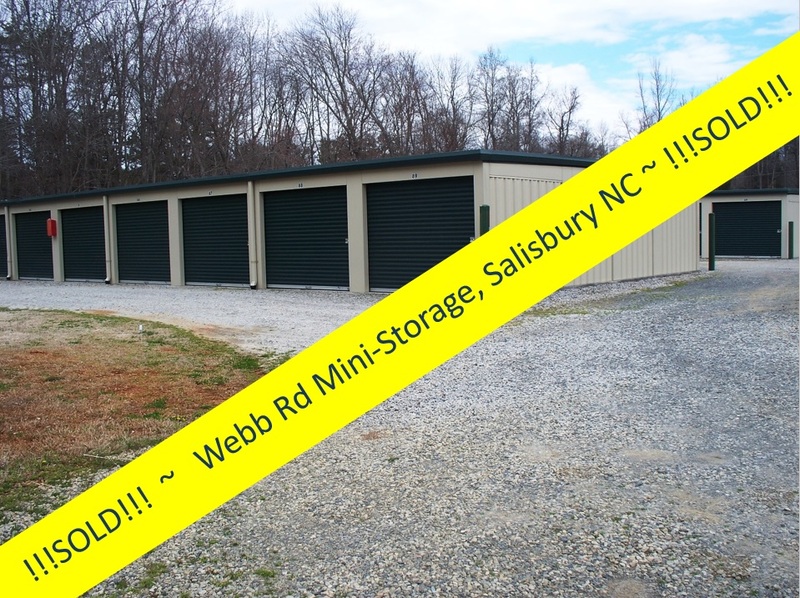 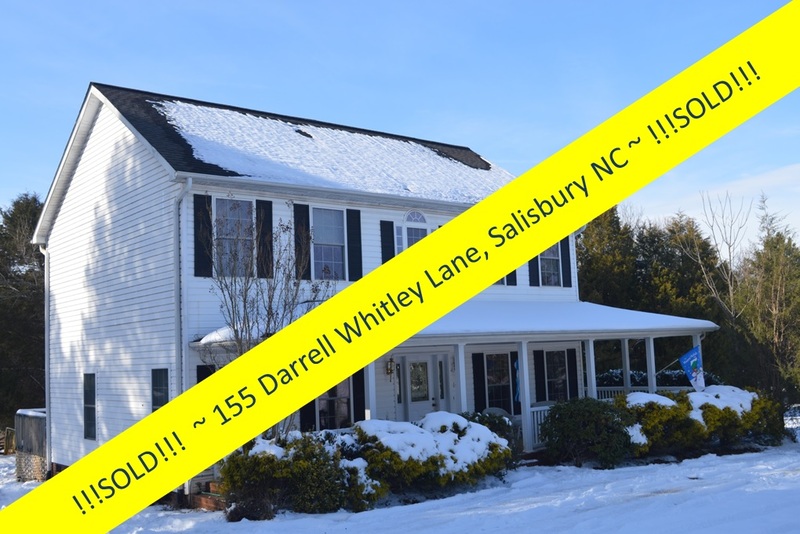 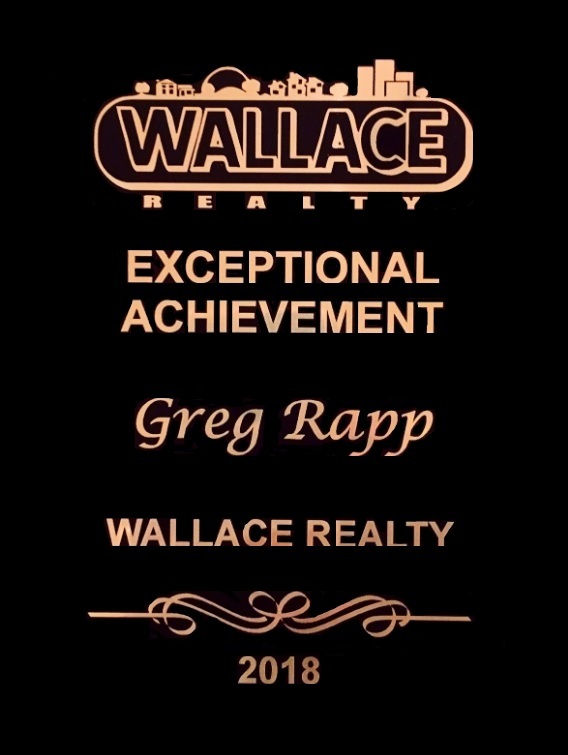 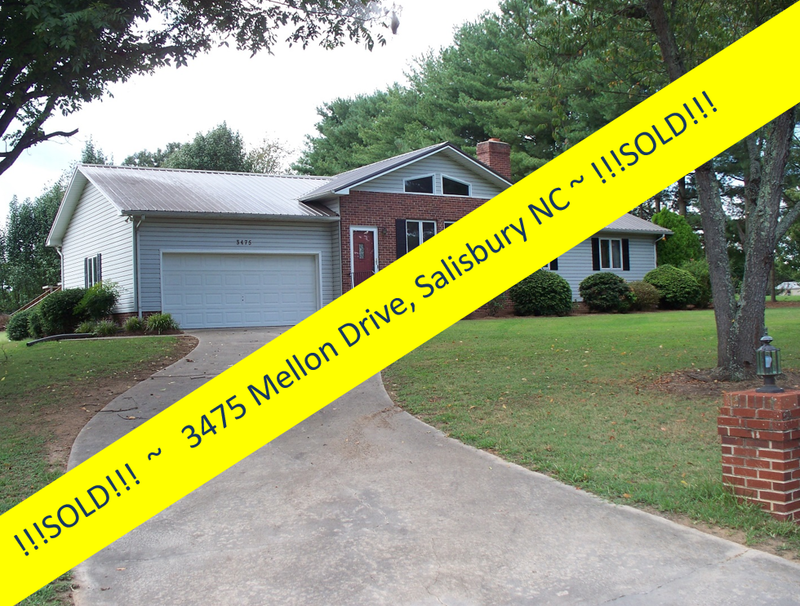 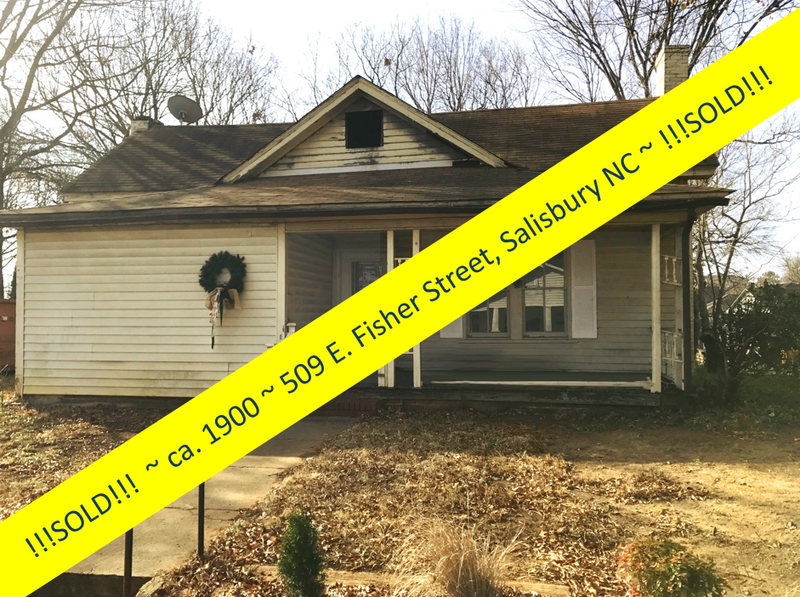 Call Greg today at 704.213.6846 to schedule a viewing. 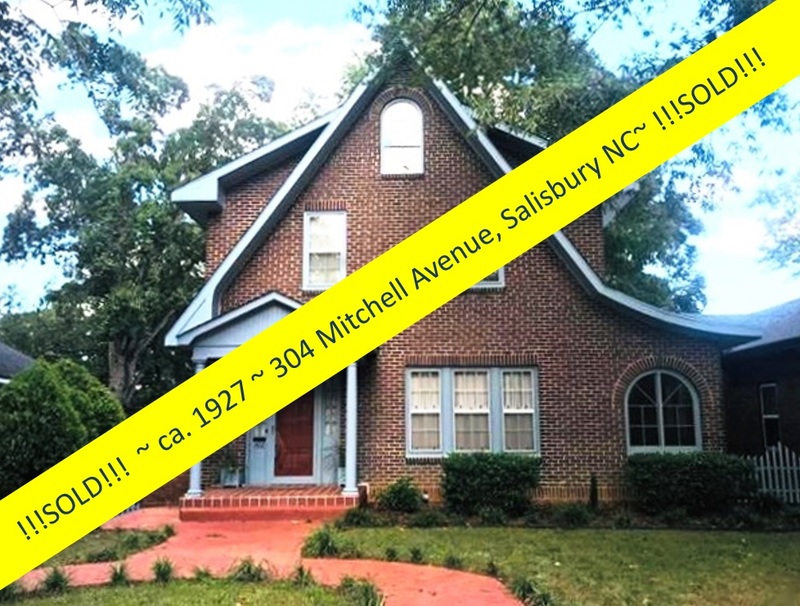 History awaits you!